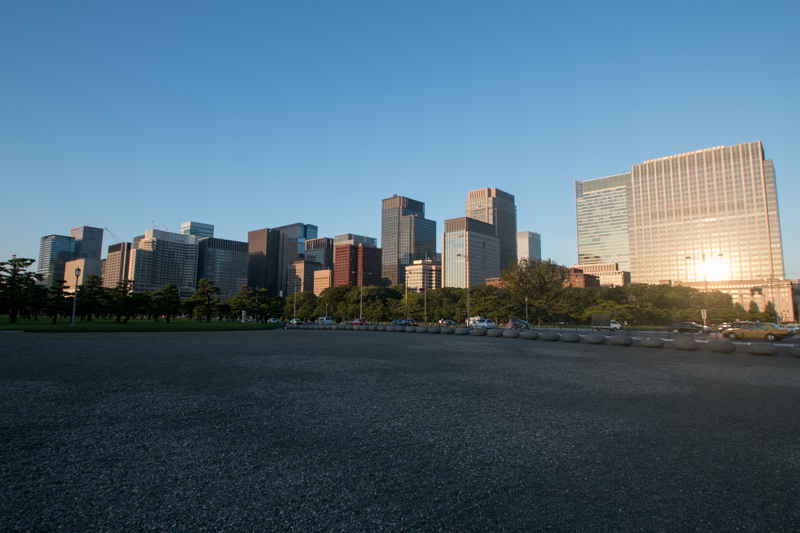 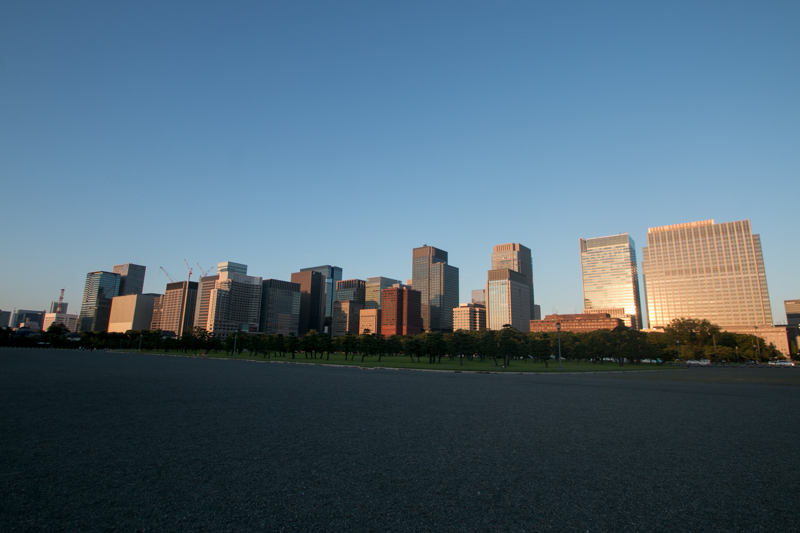 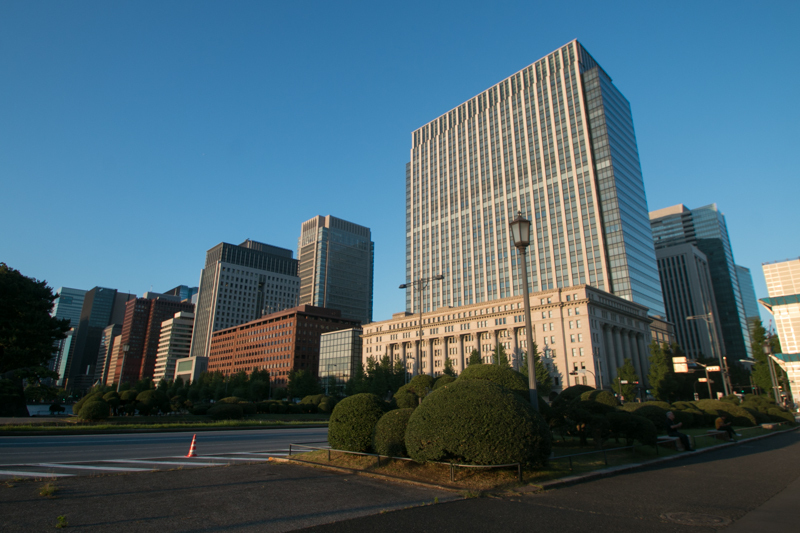 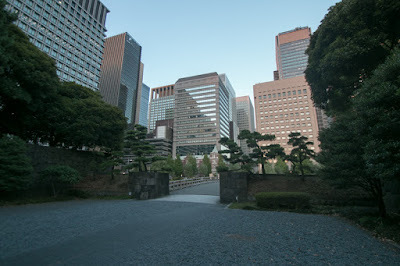 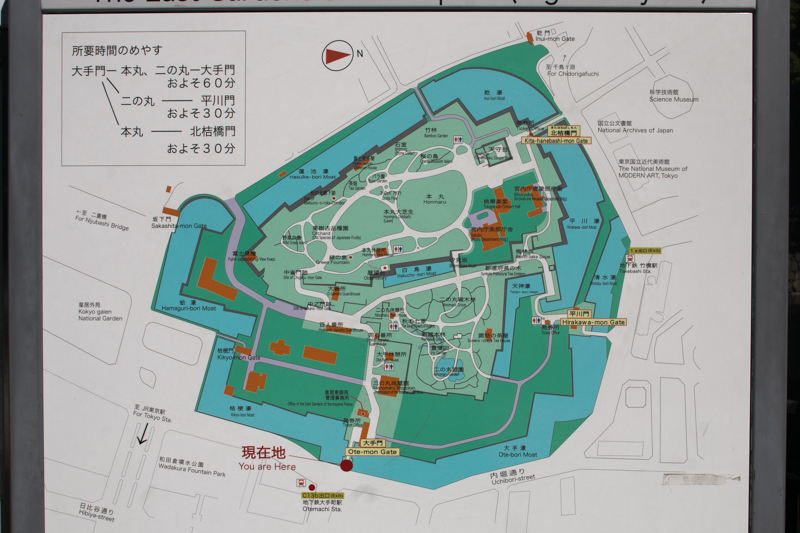 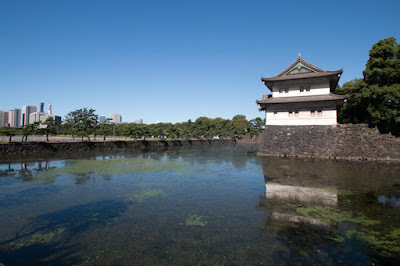 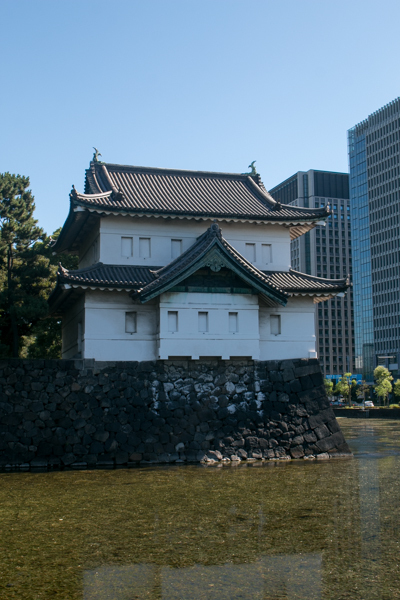 Edo castle (江戸城) is located in the center of Tokyo metropolis, the capital of Japan. 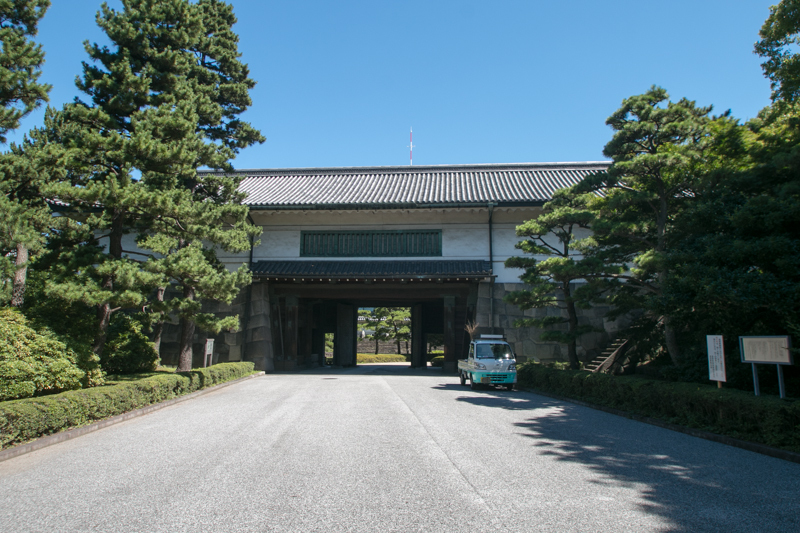 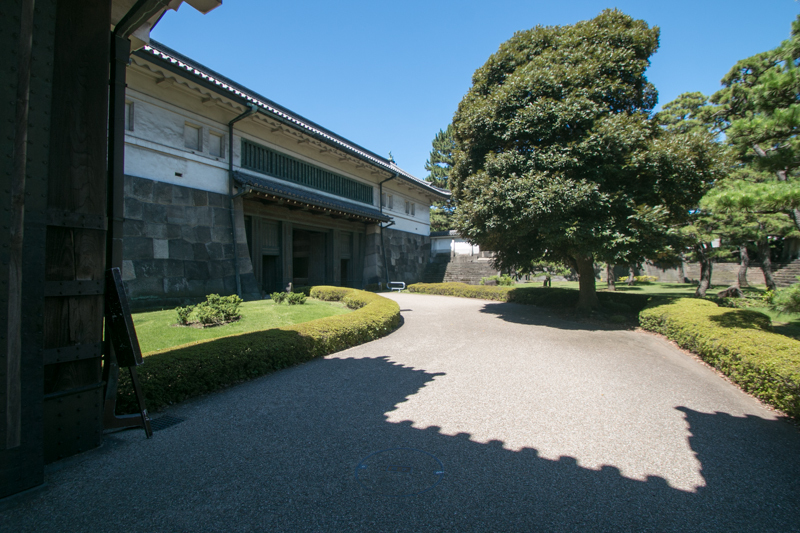 This castle was originally built in 15th century, and used as an important base of south Kanto region under Ogigayatsu Uesugi clan and Hojyo clan. In 1590, Ieyasu Tokugawa (1543-1616) who was transferred to Kanto region decide Edo castle as his residence and expanded it as a modern castle. 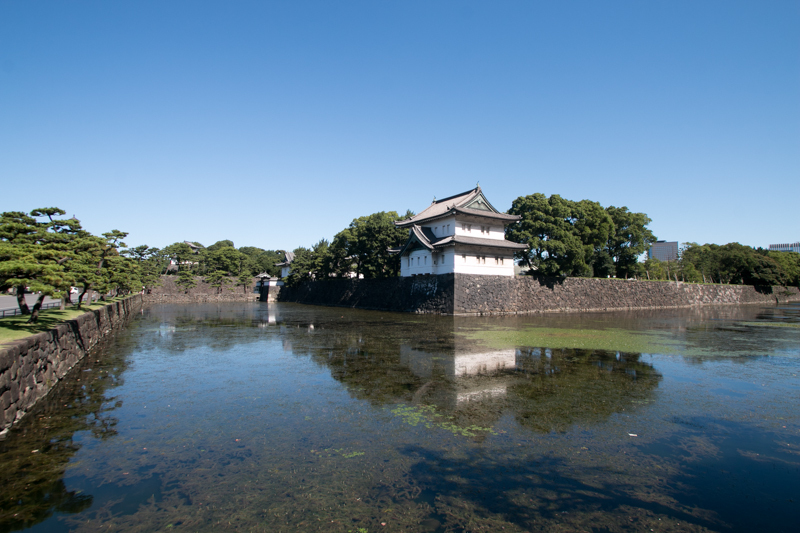 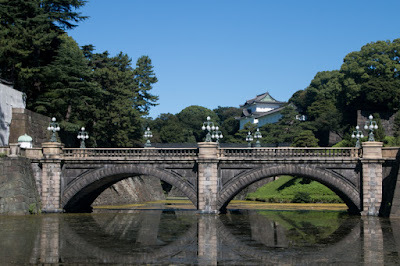 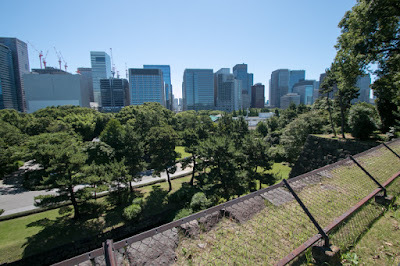 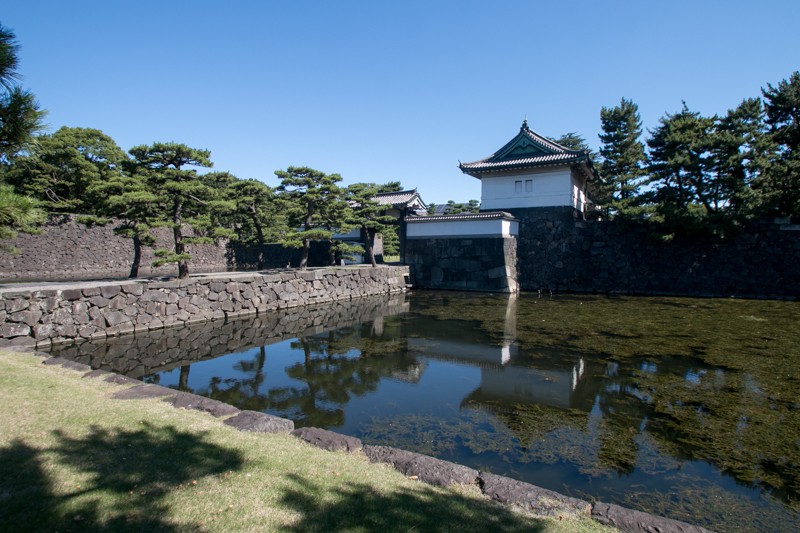 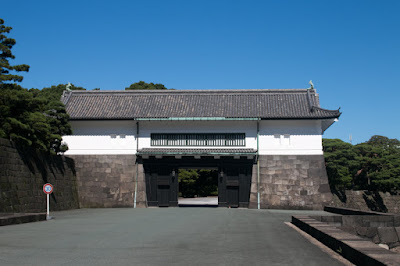 Ieyasu became the ruler after the battle of Sekigahara in 1600, and established Edo shogunate in 1603, thus Edo castle was significantly expanded into a castle of four km square as a residence of Shogun after over 30 years construction. Subsequent to Meiji revolution, Edo castle has been used as the imperial palace and still one of the important element of Japan. 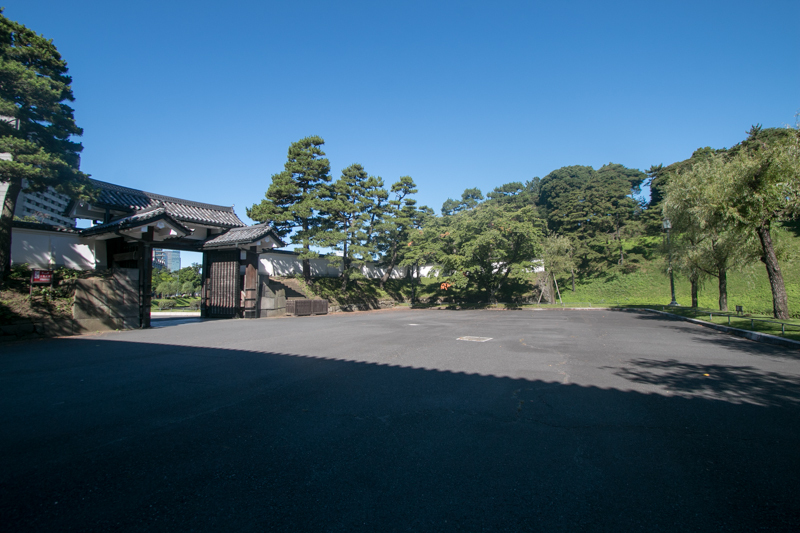 At the place of current Edo castle originally there was a small castle built by Edo clan (having same ancestor of Edo clan who built Chiba castle), but a full-scale castle was built for the first time in 1457 by Dokan Ota (1432-1486), a vassal of Ogigayatsu Uesugi clan. Dokan was a talented general and succeeded his clan in 1456. 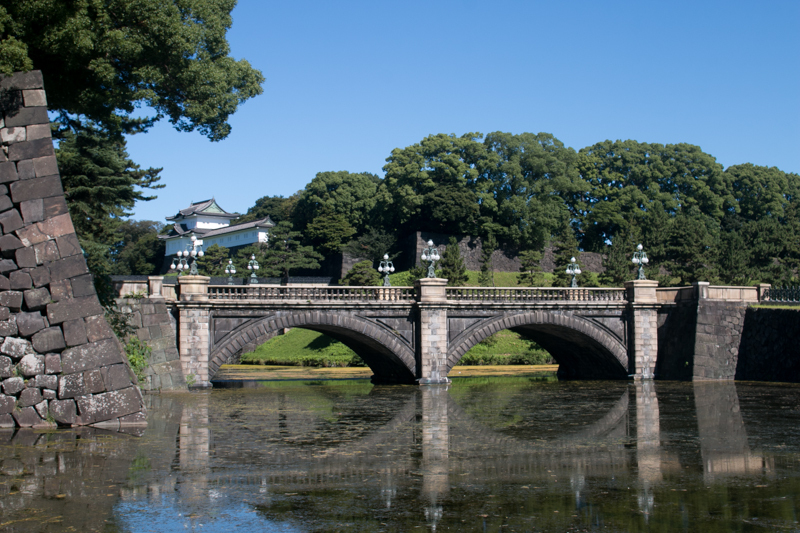 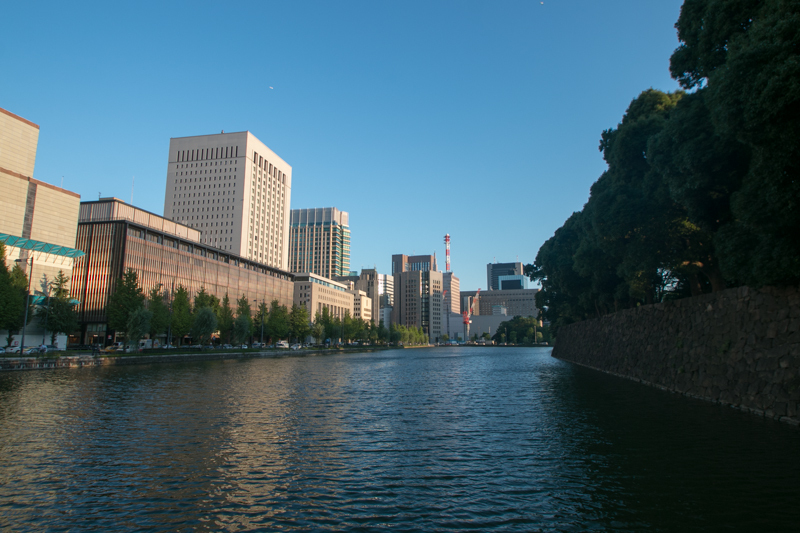 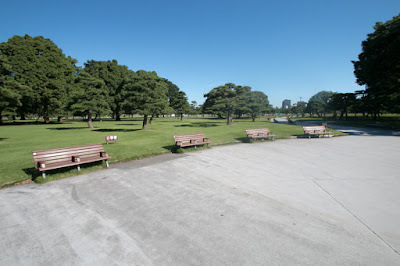 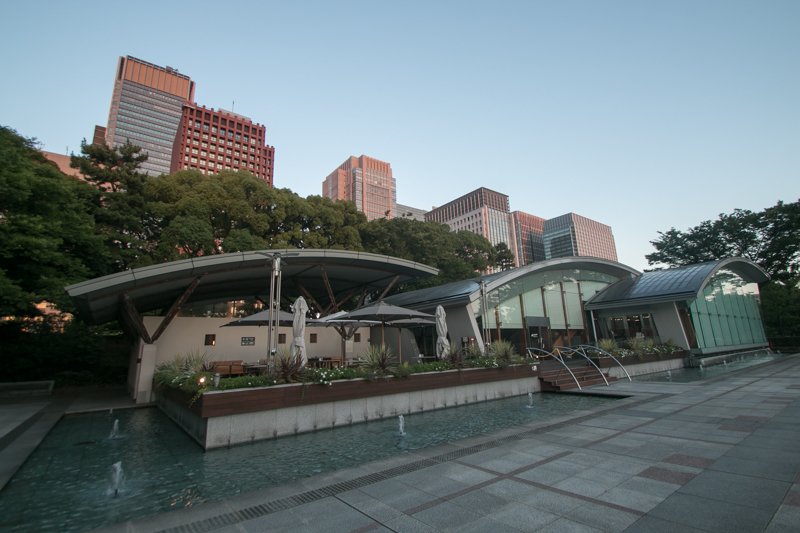 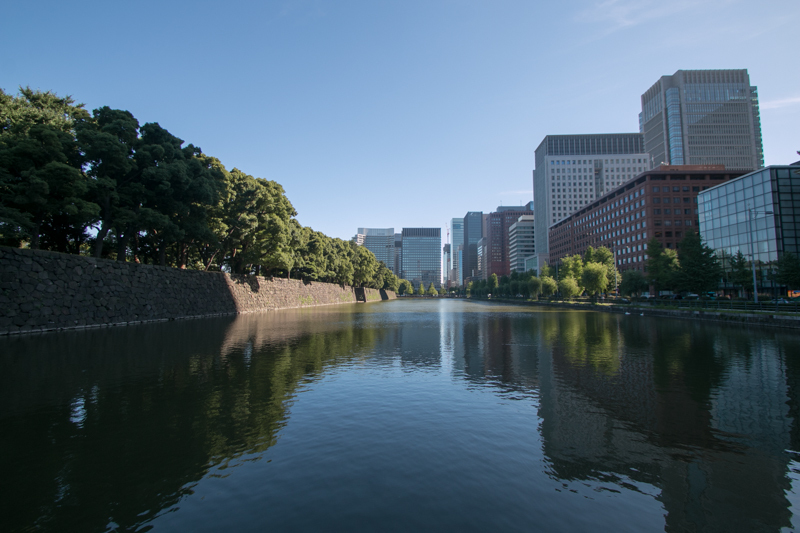 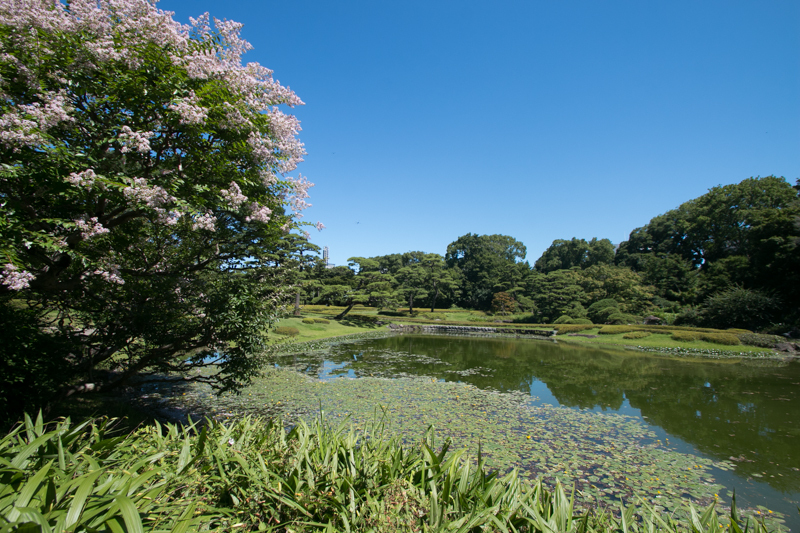 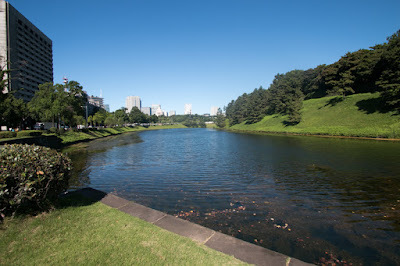 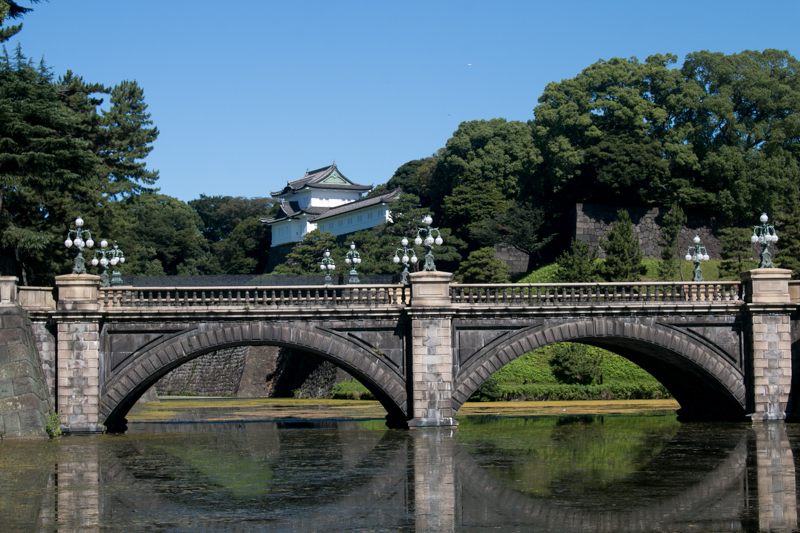 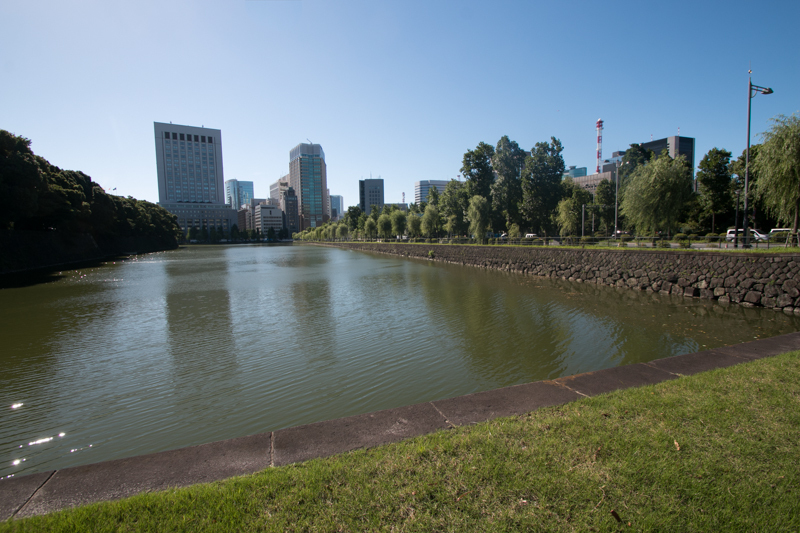 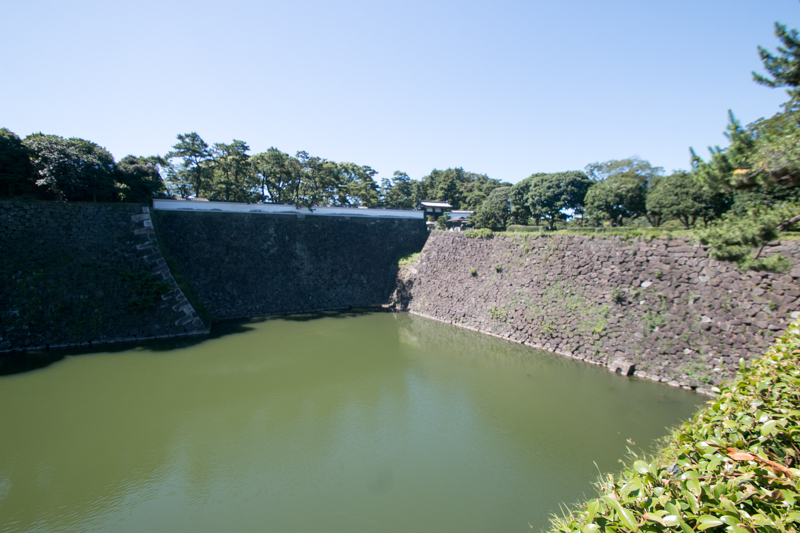 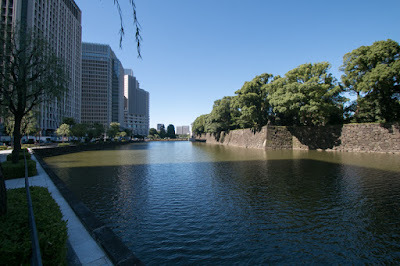 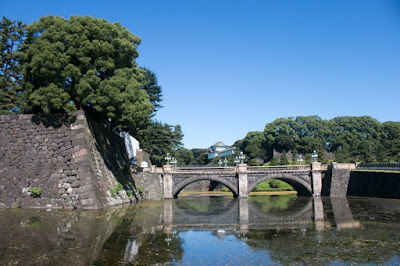 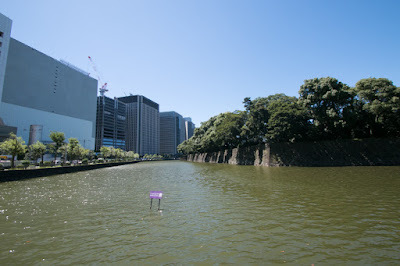 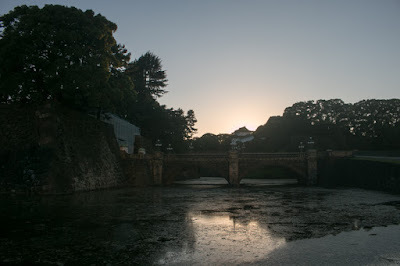 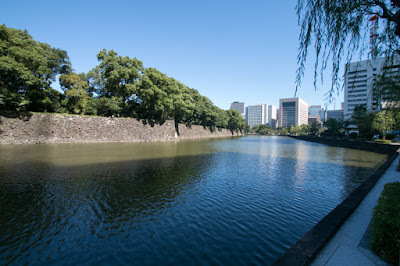 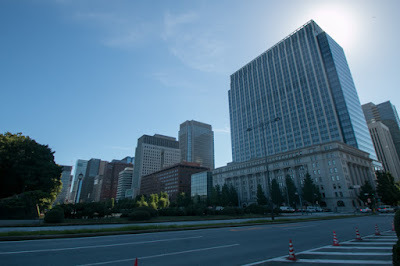 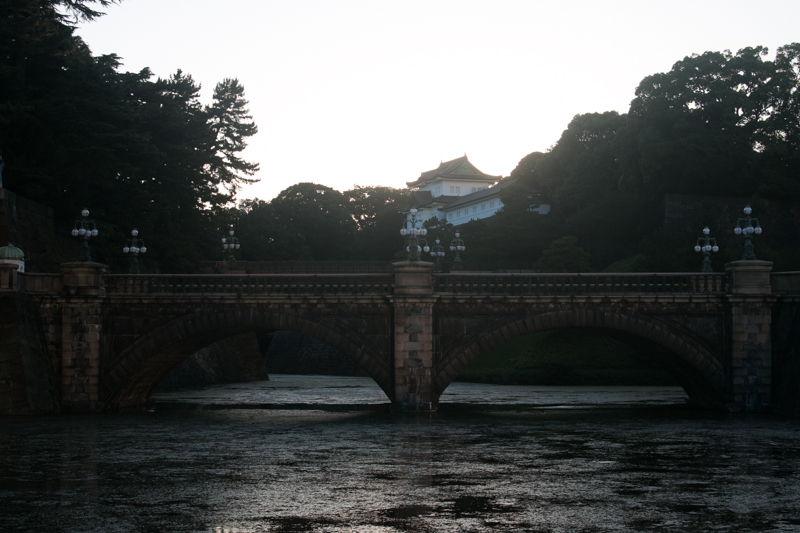 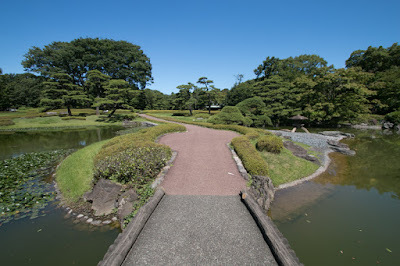 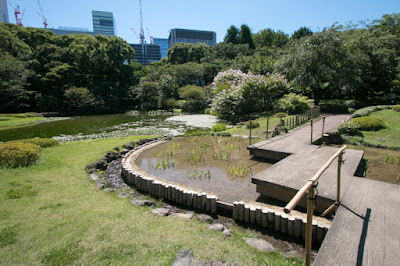 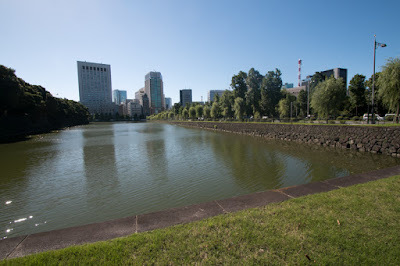 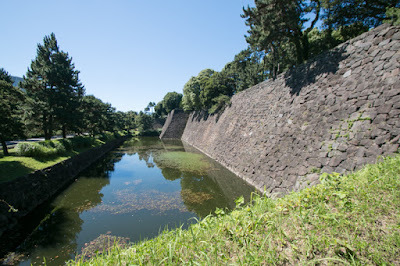 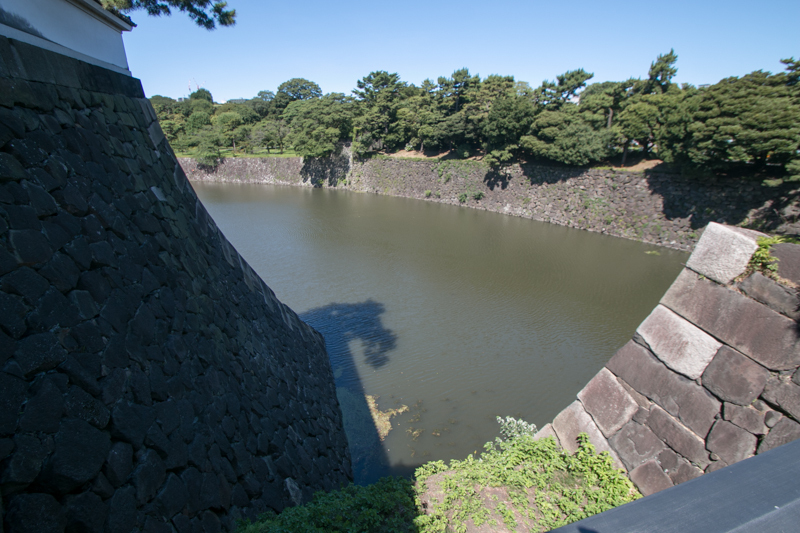 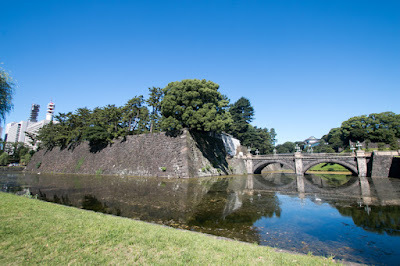 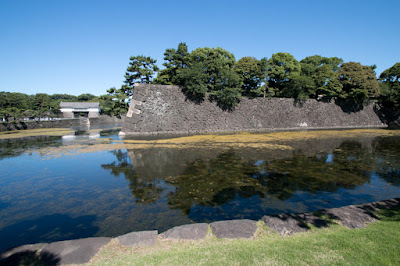 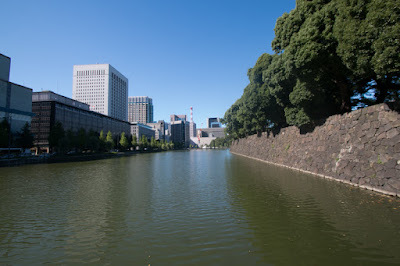 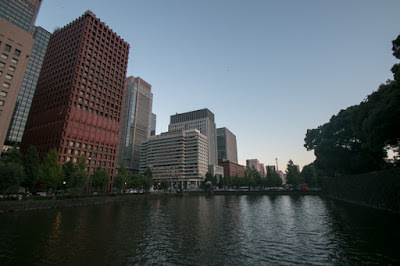 Prior to river improvement at the beginning of 17th century, Tone river, the largest river in Kanto region, went through the way of current Arakawa river and Sumidagawa river and flew into Tokyo bay just the east of Edo castle. Kanto plain at that time was divided by this Tone river into west half and east half. 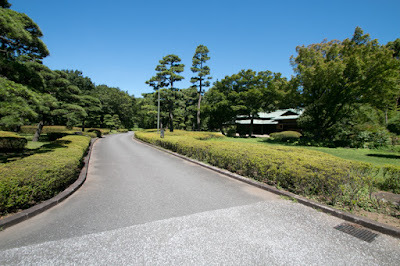 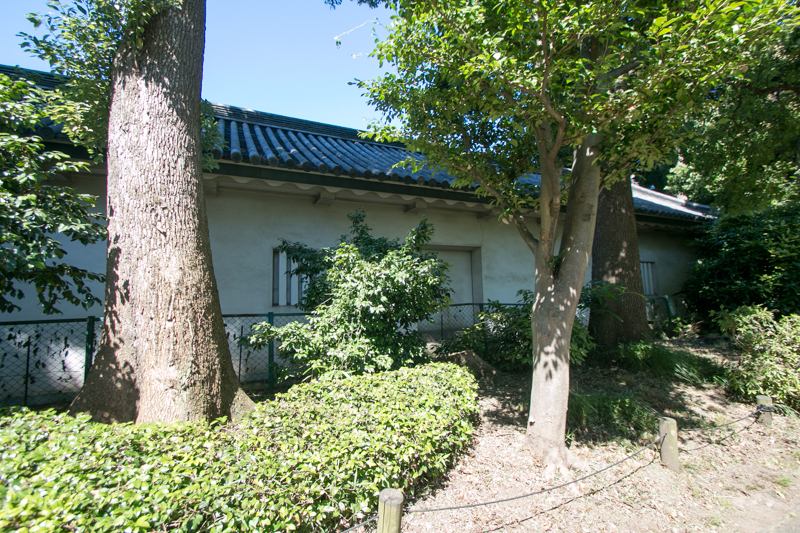 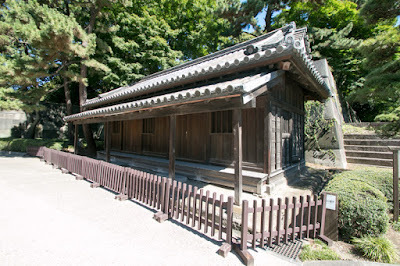 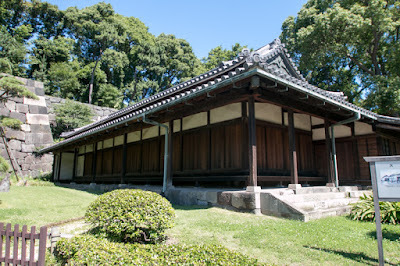 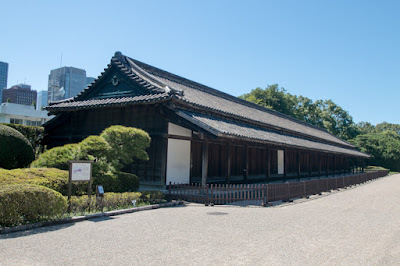 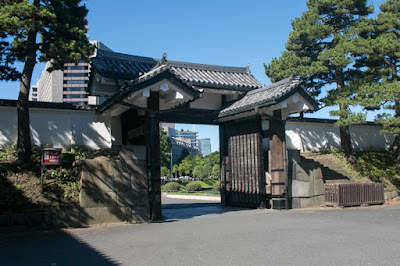 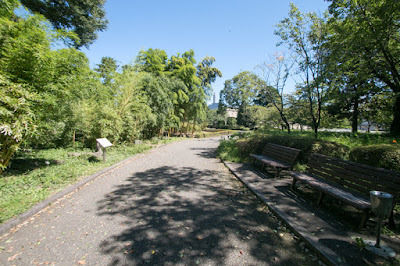 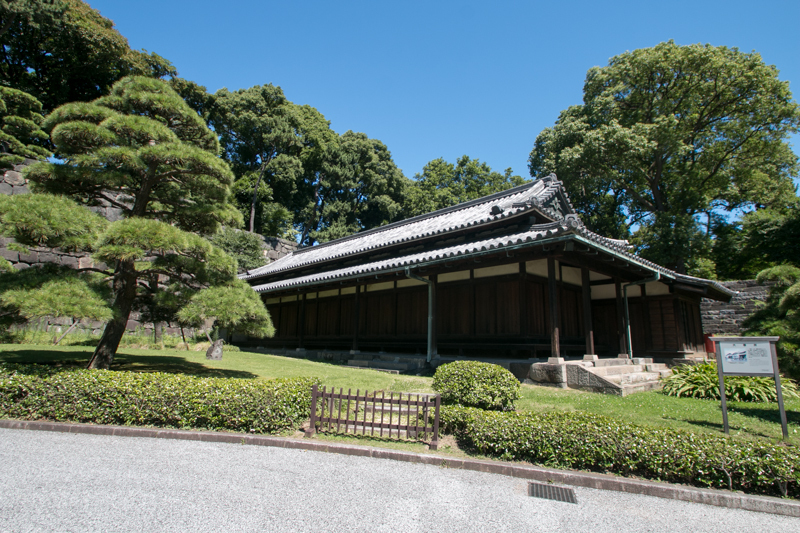 In Muromachi era, Kanto region was govered by Kamakura Kubo house (Kamakura Kubo), a relative house and representative of Muromachi shogunate in Kyoto, and Uesugi clan which inherit name of Kanto Kanrei (general governor of Kanto) supported Kamakura Kubo. 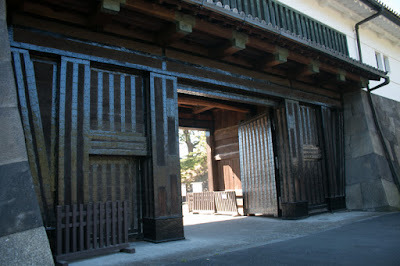 Among Uesugi clan, Yamanouchi Uesugi clan had been the leader and Ogigayatsu Uesugi clan was second position. 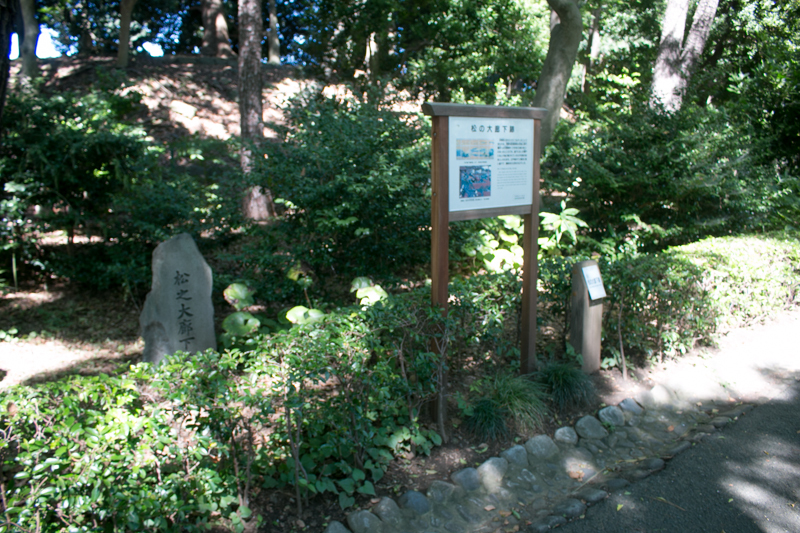 clan again. 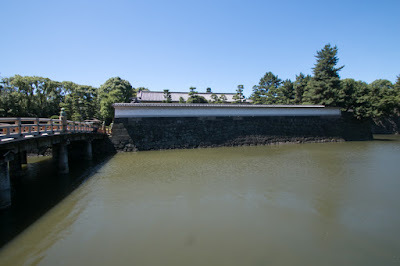 Among the long battle continued from 1455 to 1483, Kanto region was divided into Uesugi clan at the west half and Koga Kubo house (successor of Kanto Kubo house) at the east half using Tonegawa river as their border. 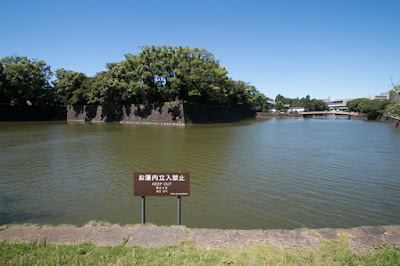 Facing this situation, Dokan built Edo castle, Kawagoe Castle and Iwatsuki castle (both Saitama prefecture) along with old Tonegawa river as a defense line to Koga Kubo highness. 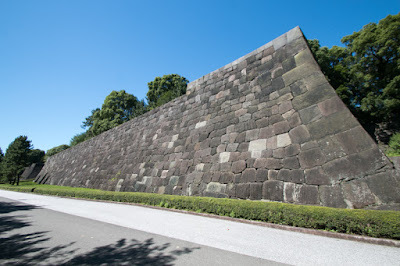 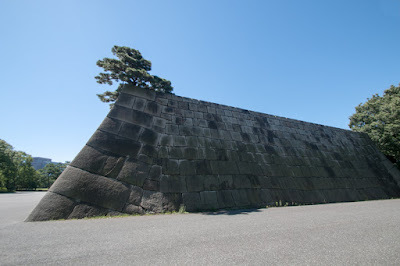 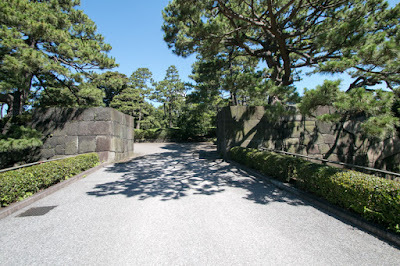 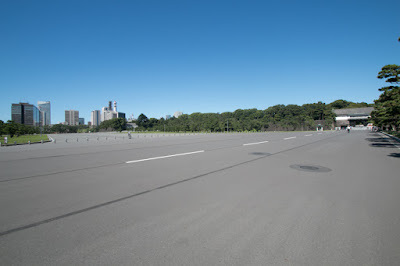 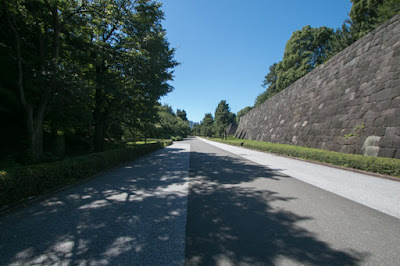 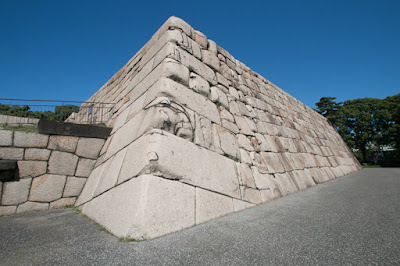 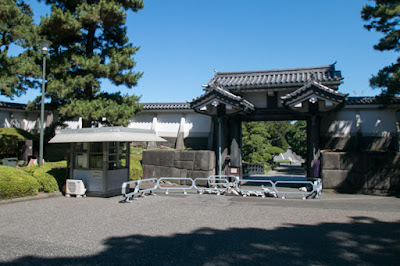 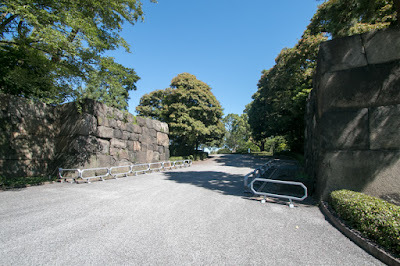 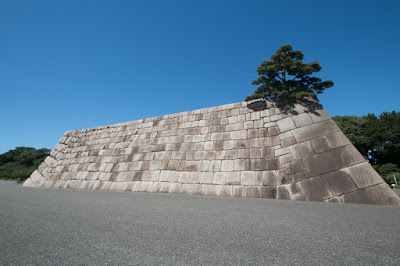 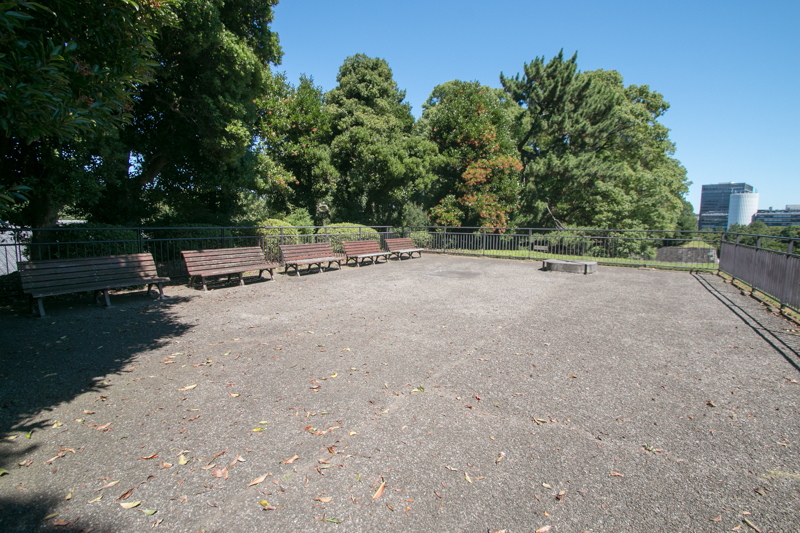 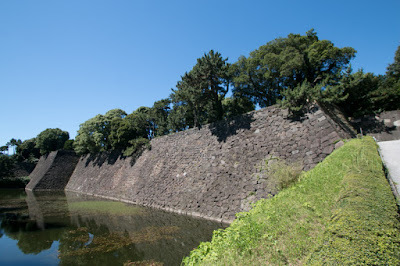 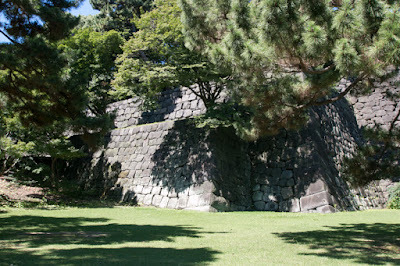 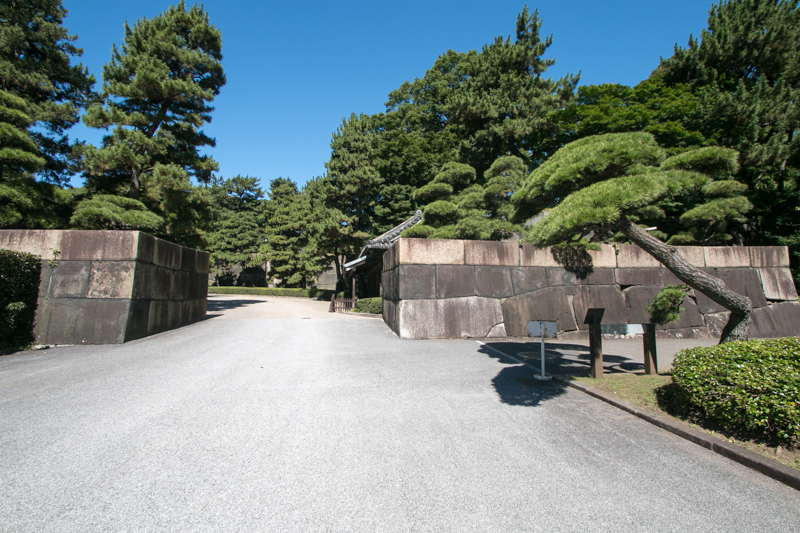 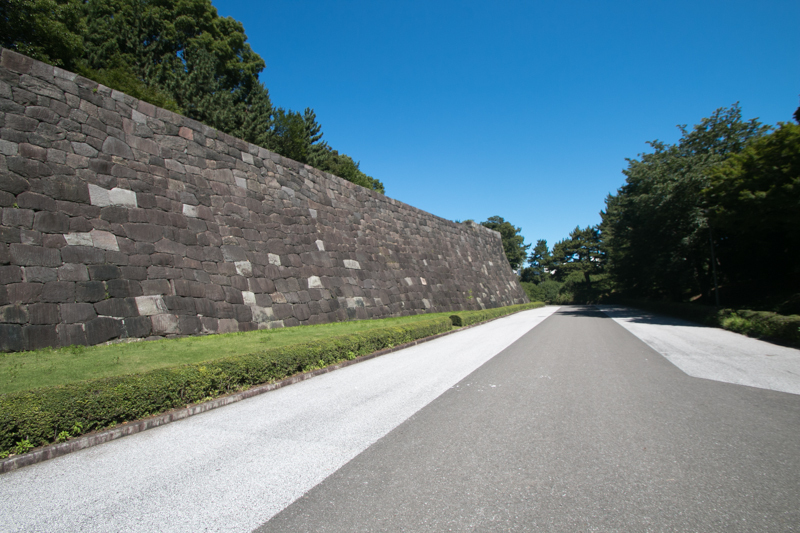 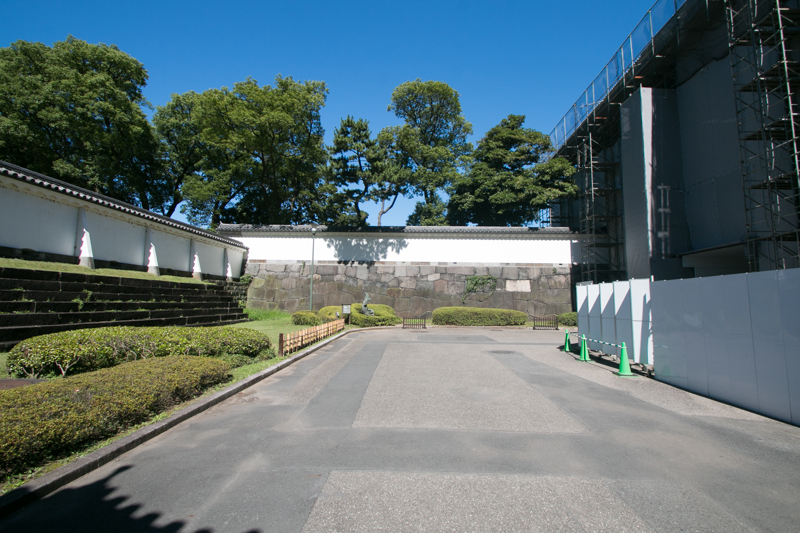 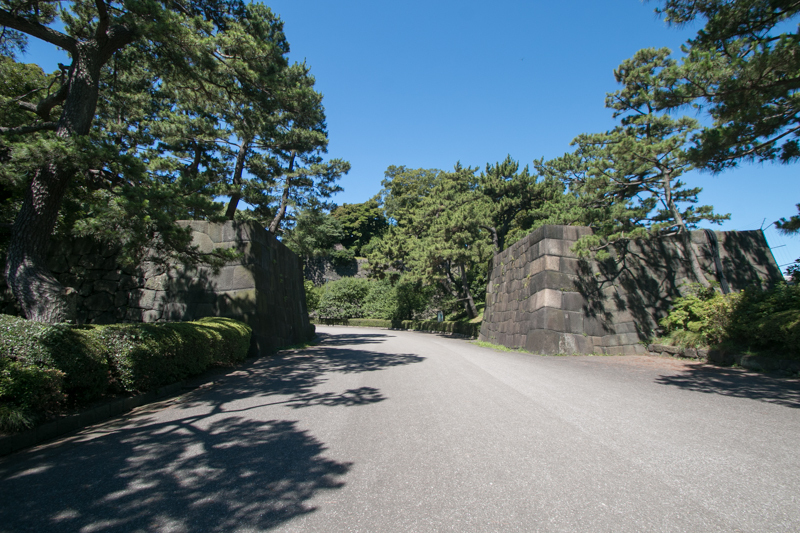 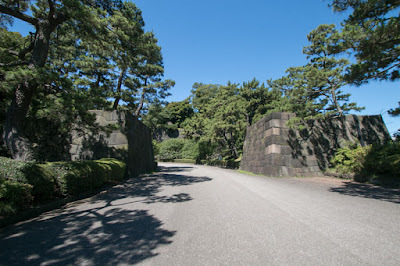 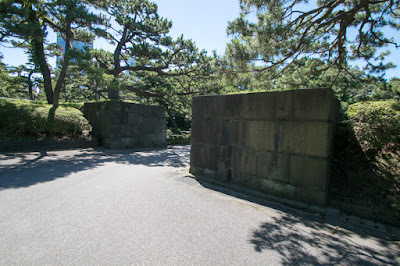 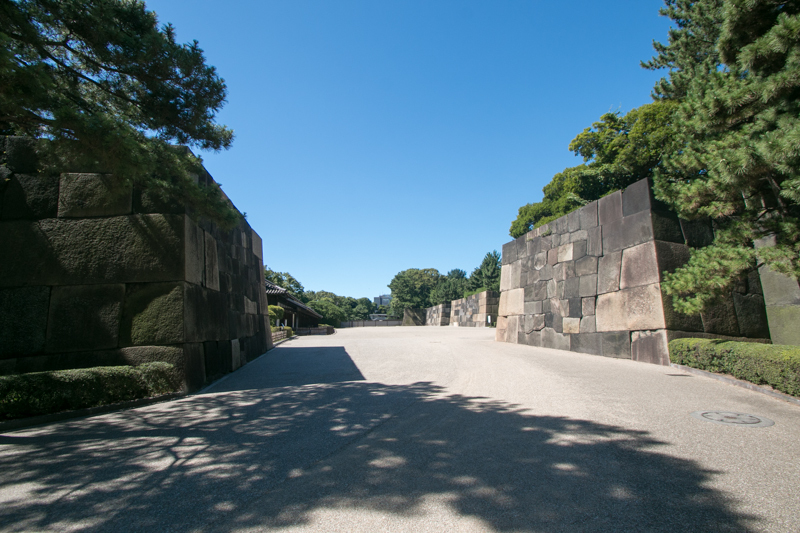 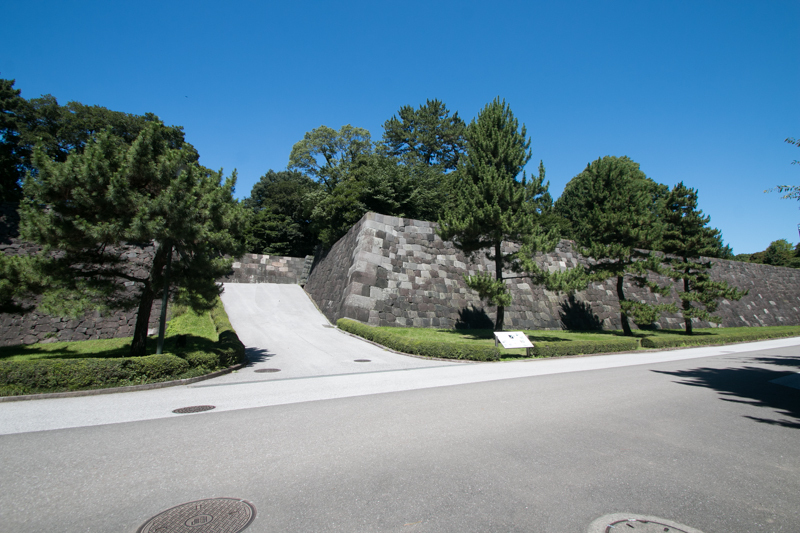 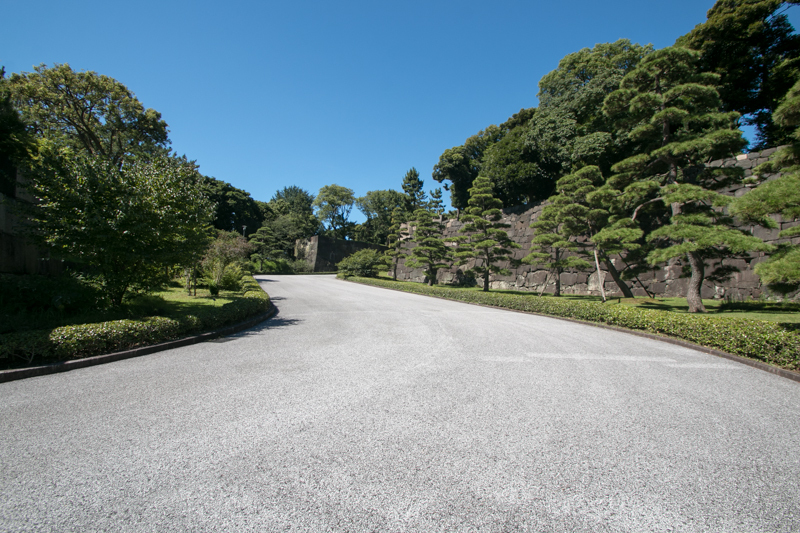 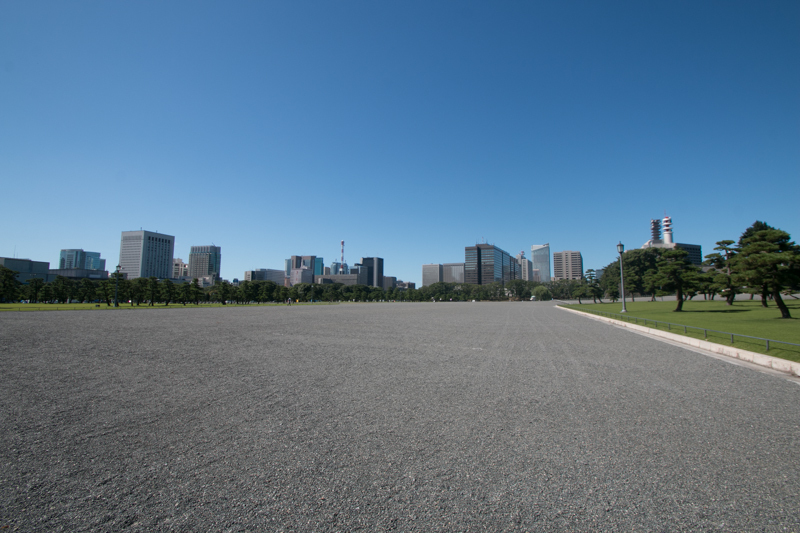 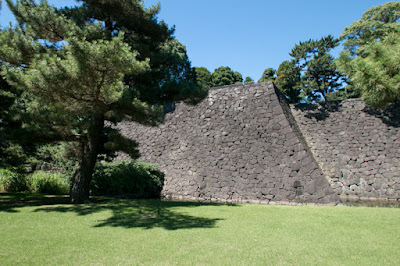 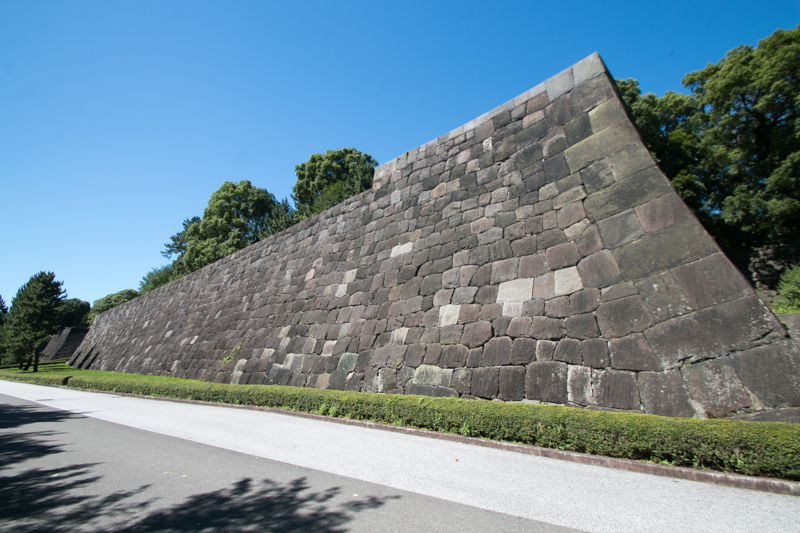 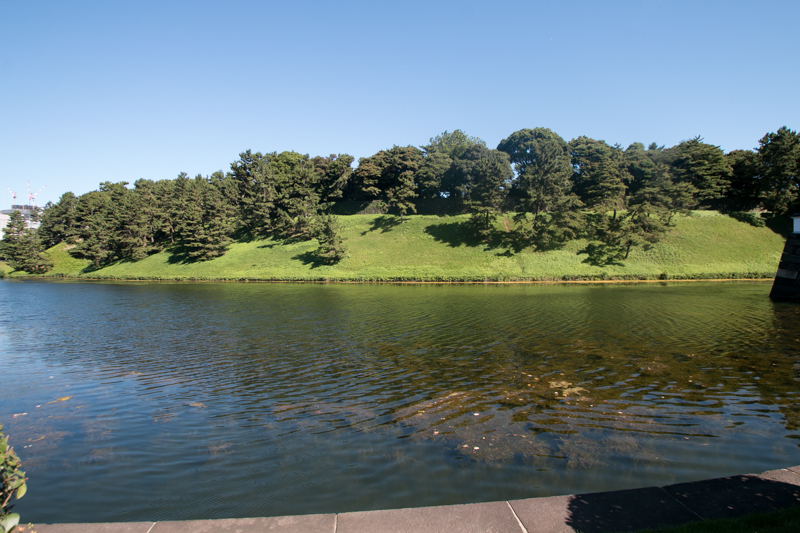 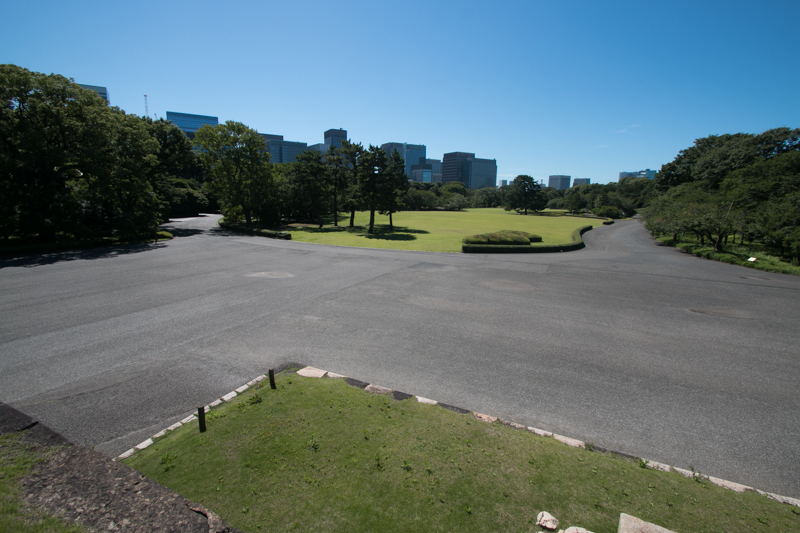 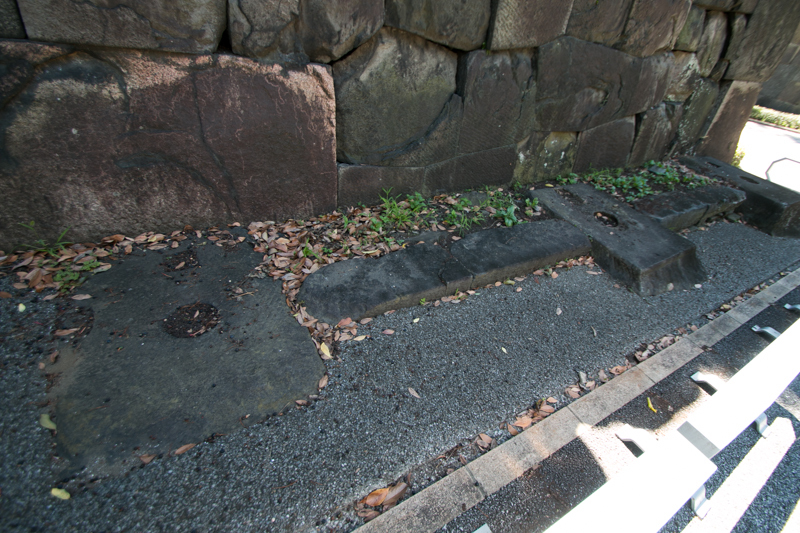 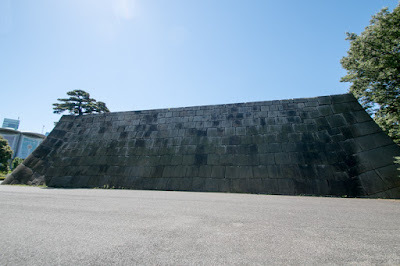 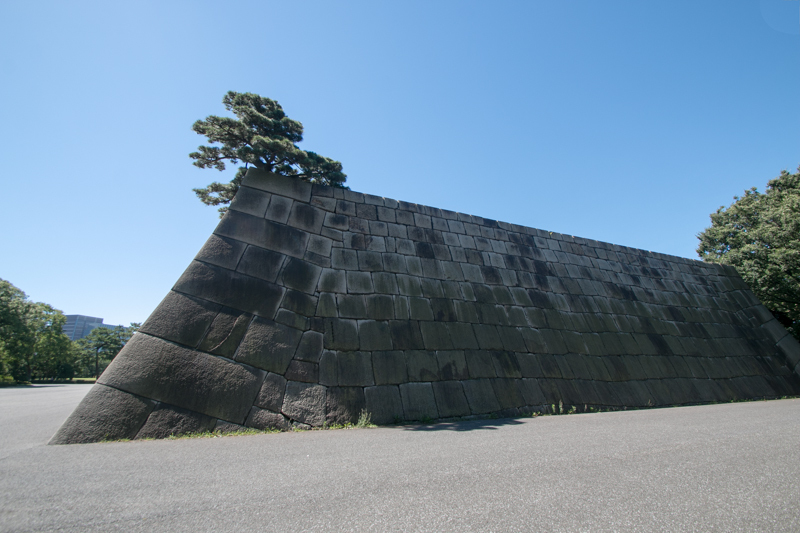 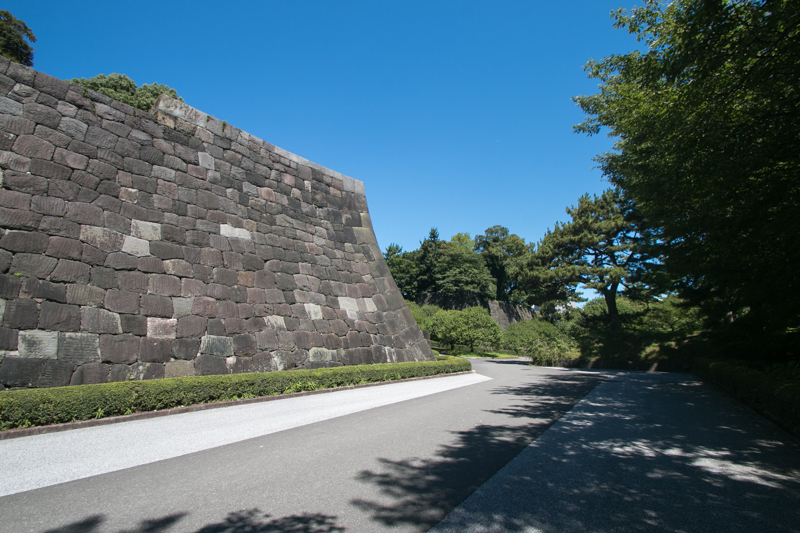 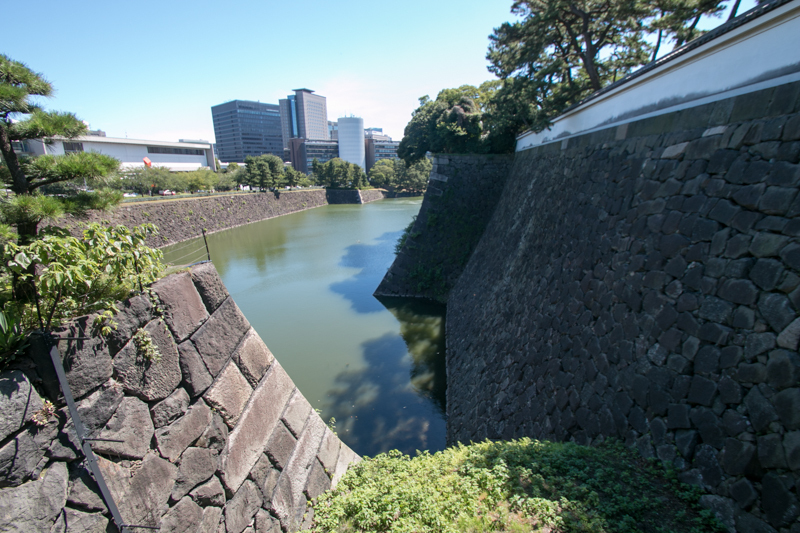 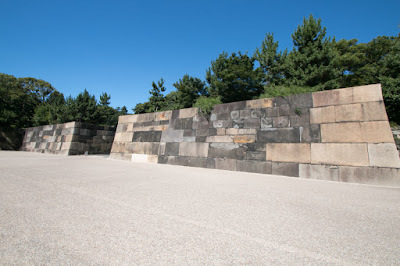 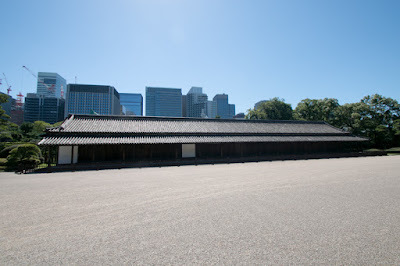 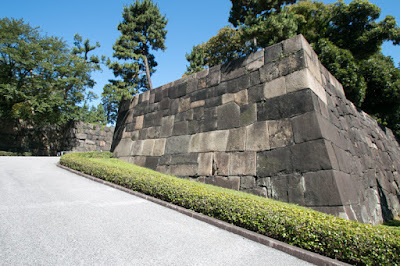 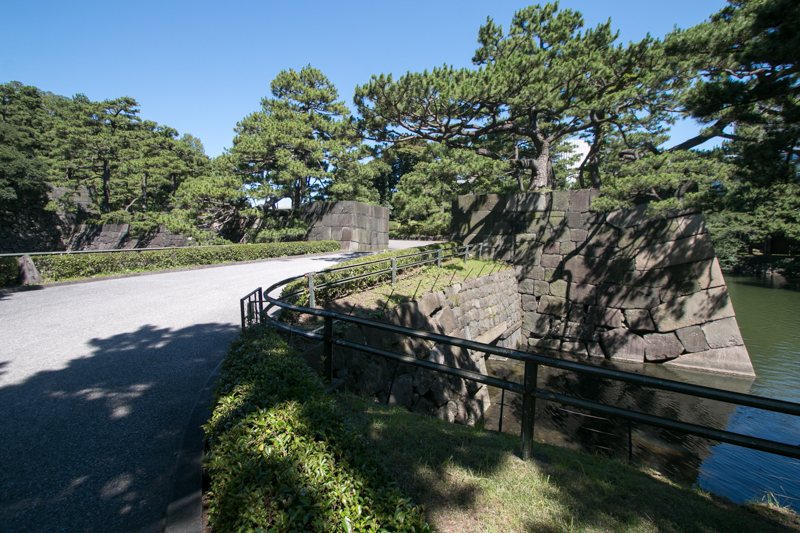 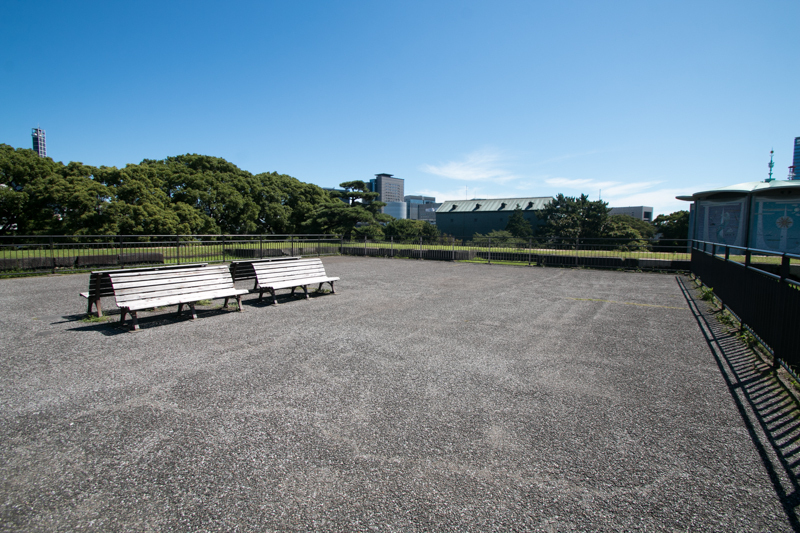 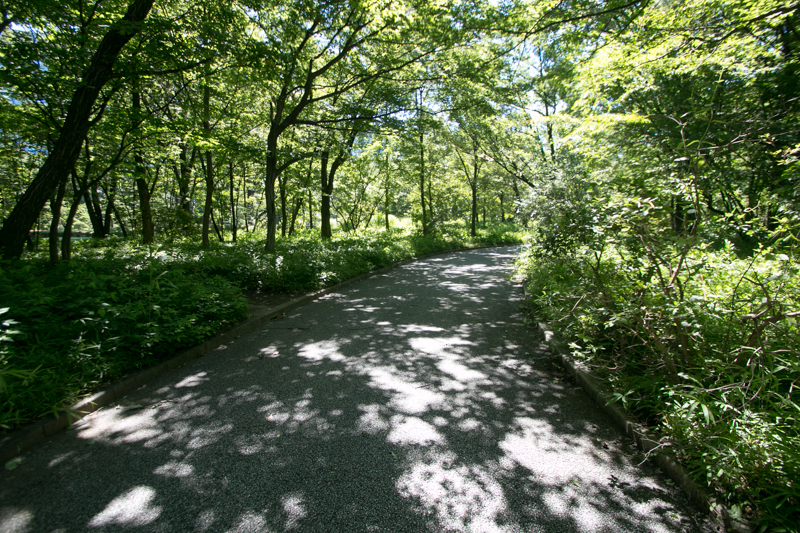 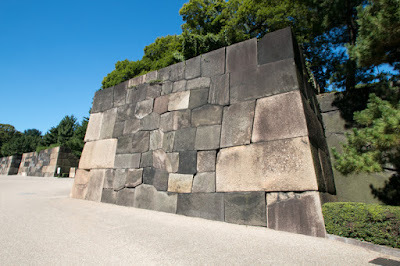 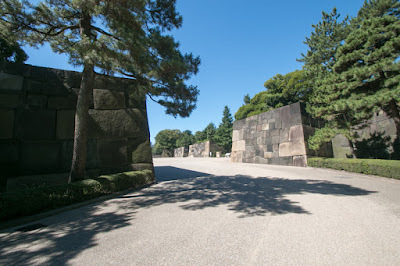 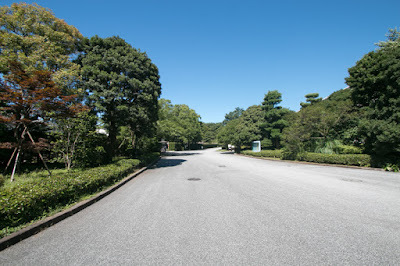 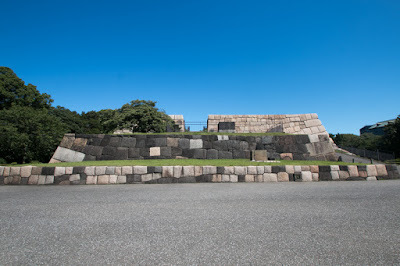 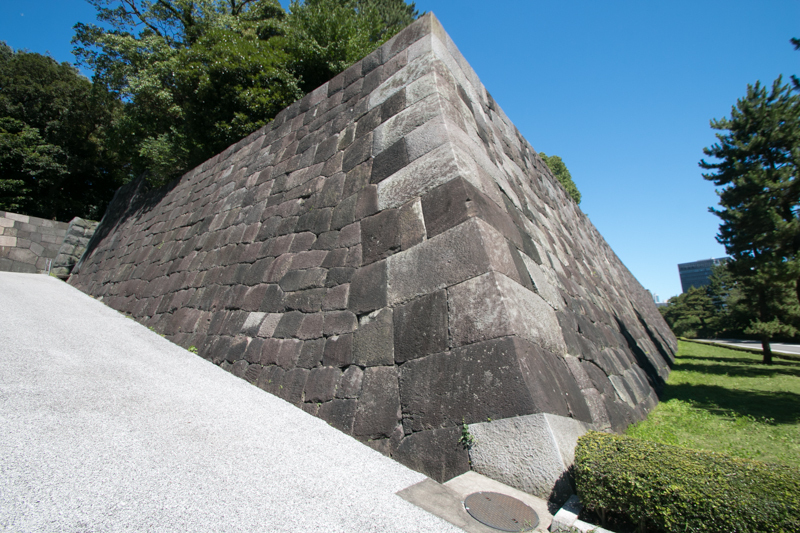 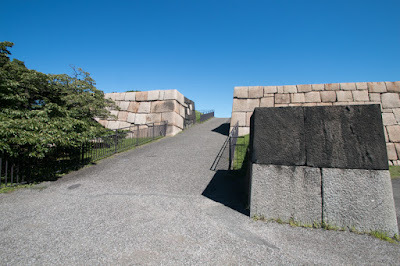 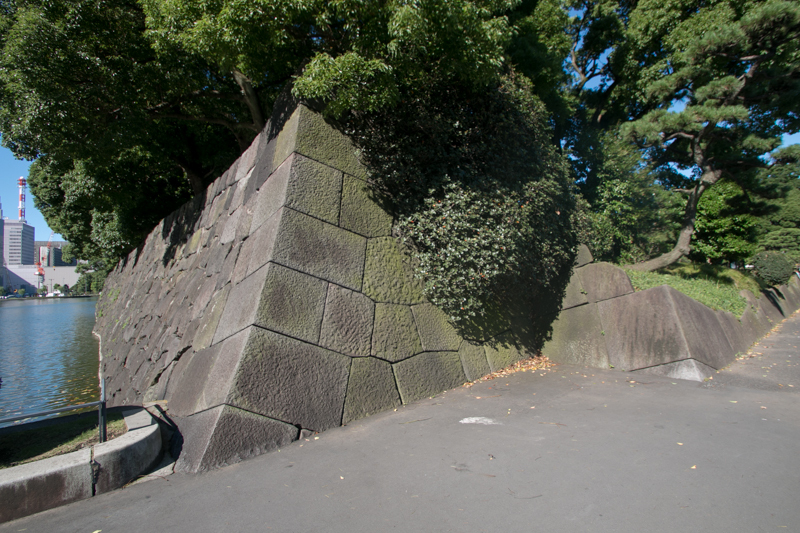 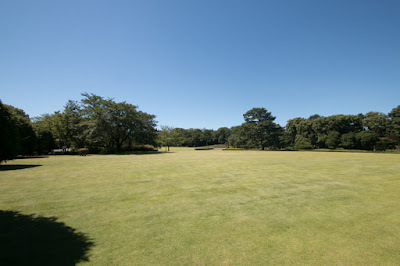 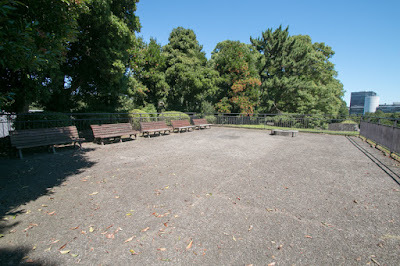 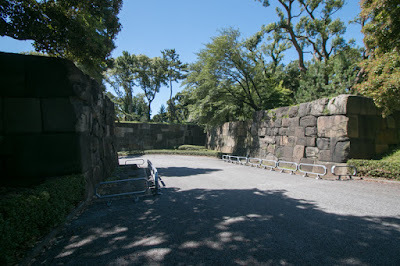 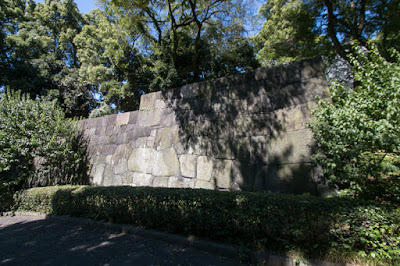 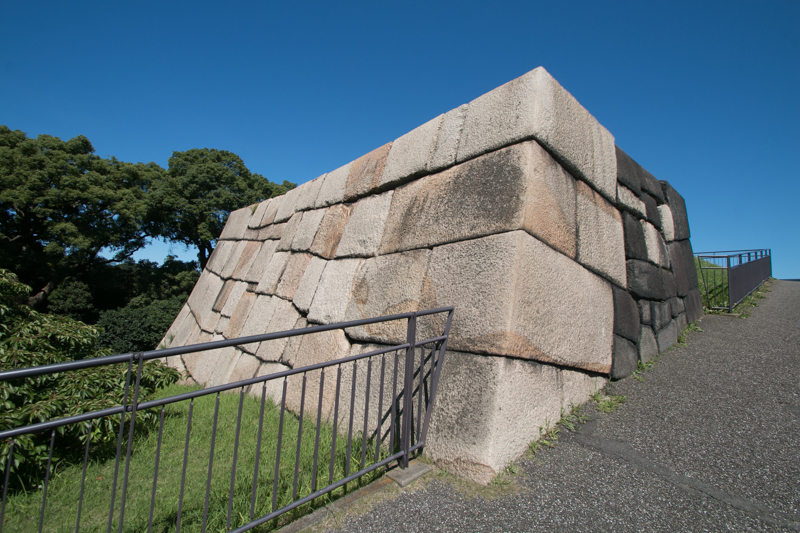 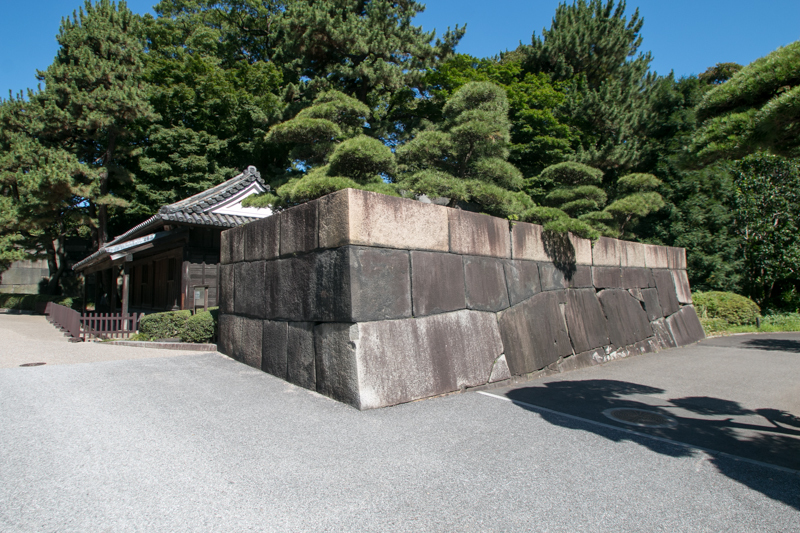 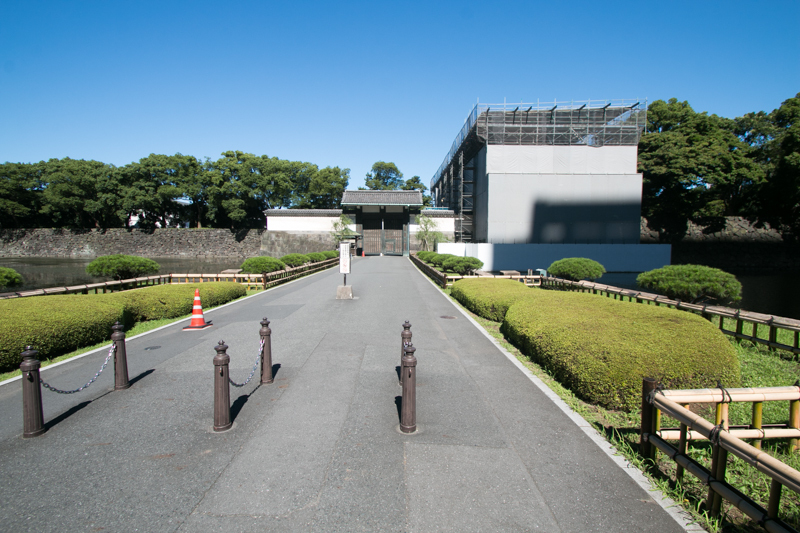 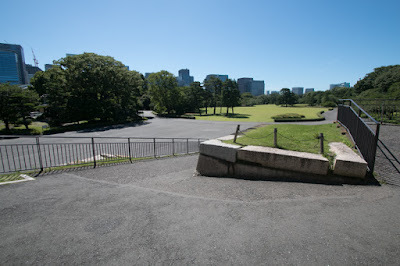 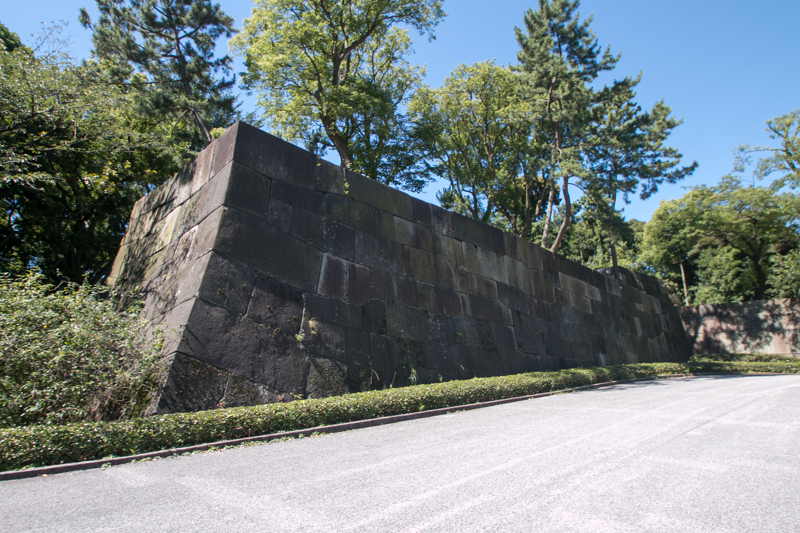 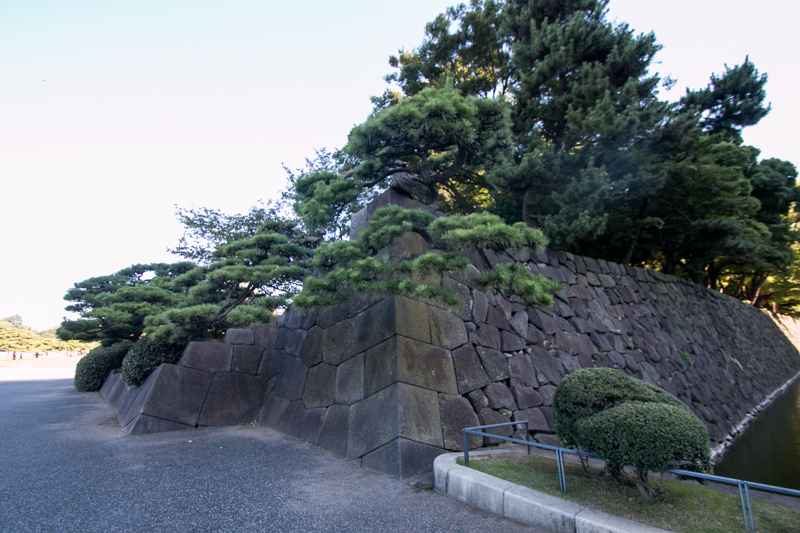 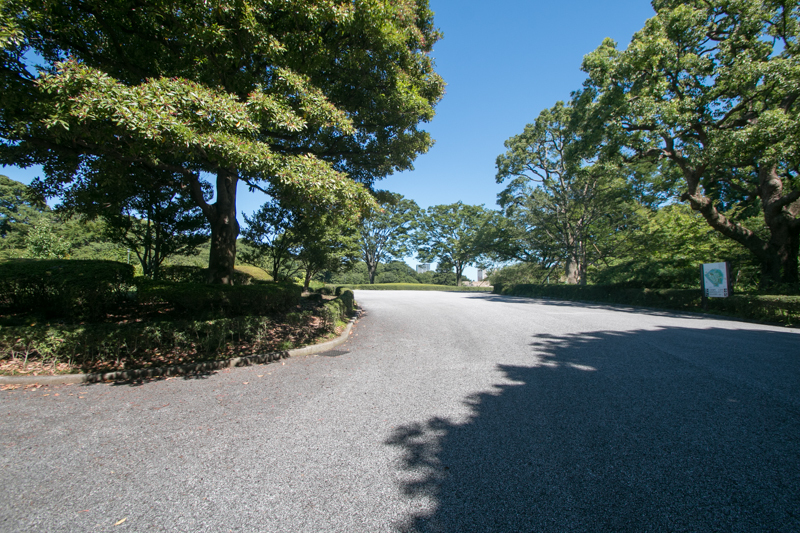 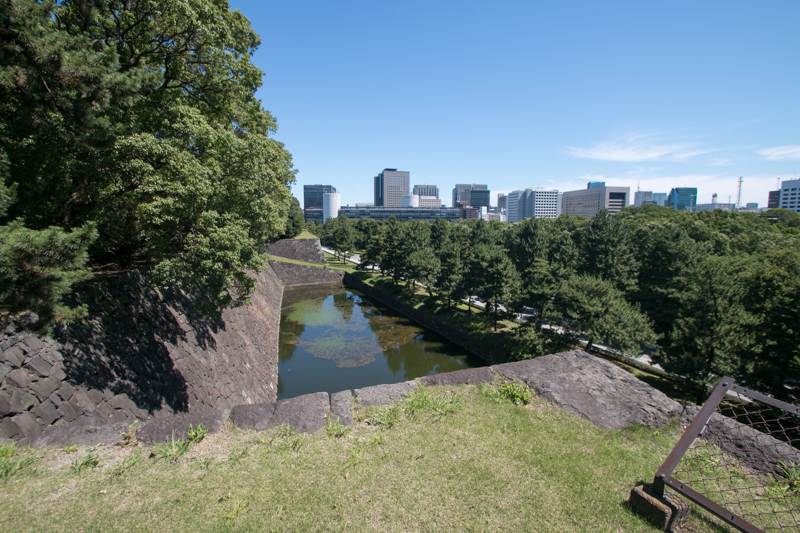 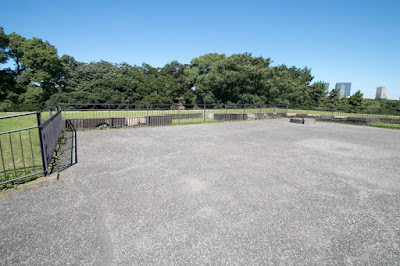 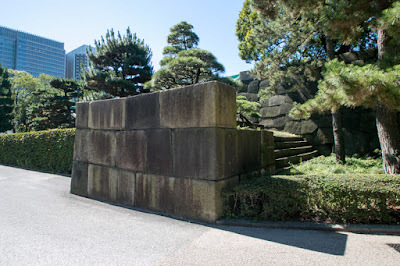 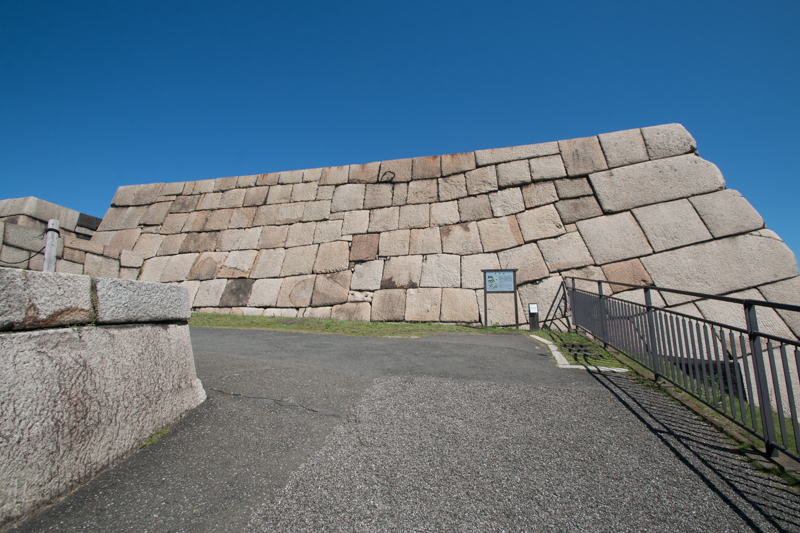 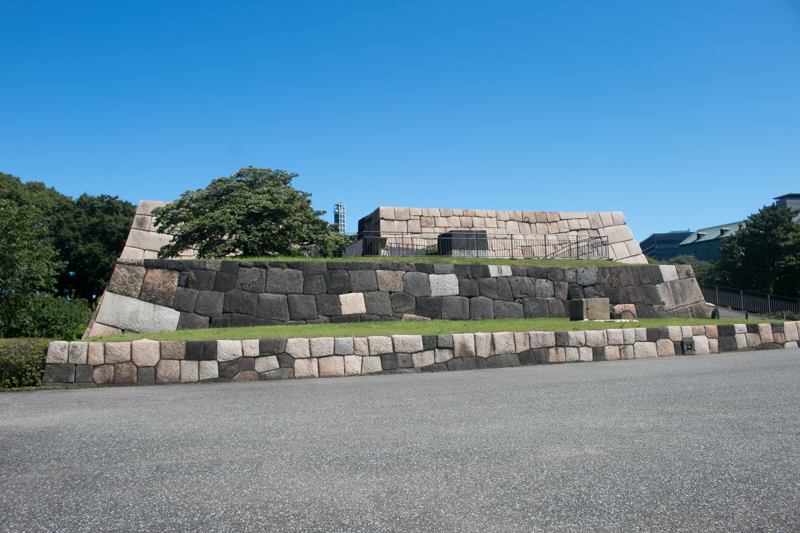 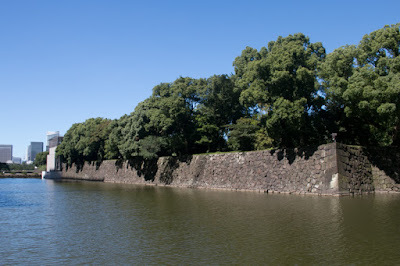 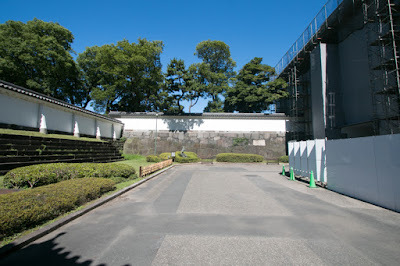 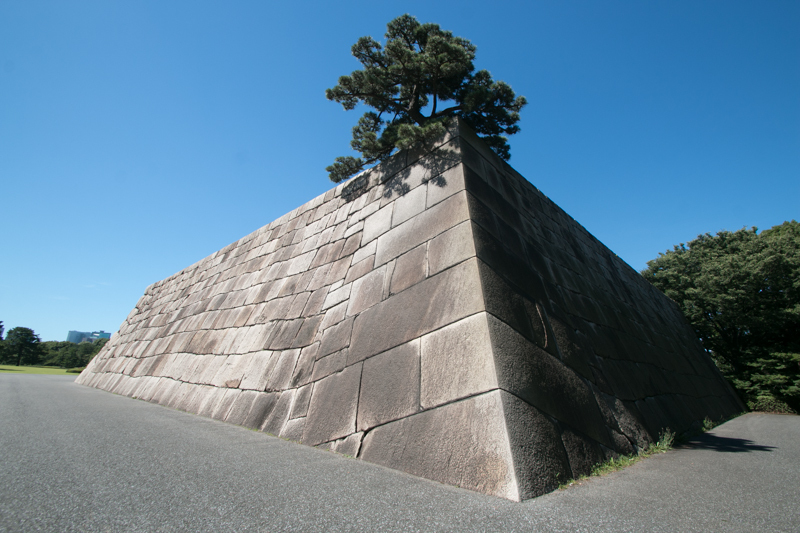 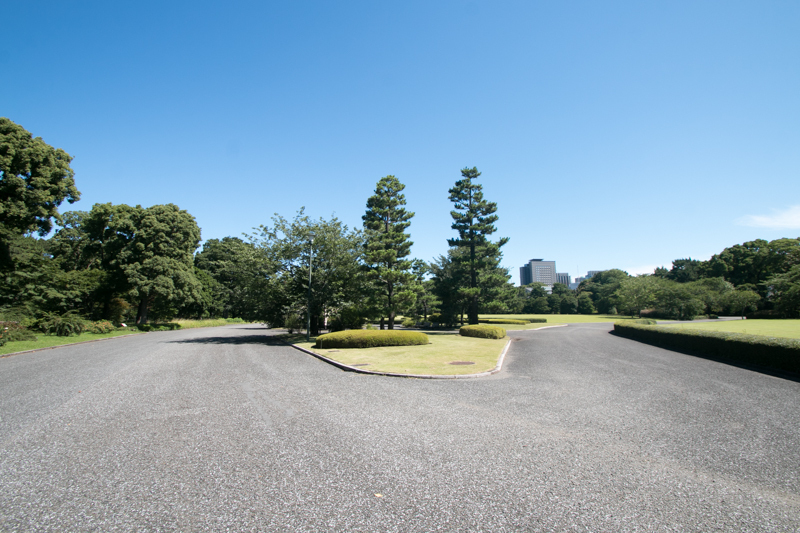 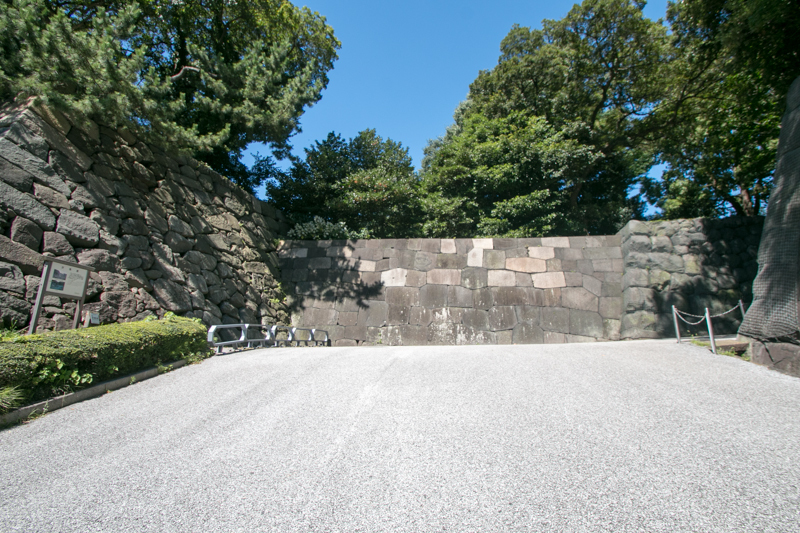 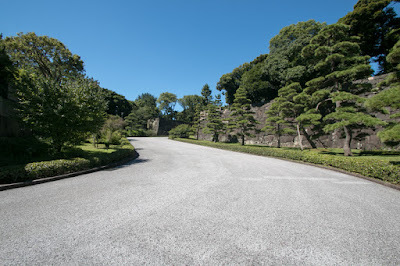 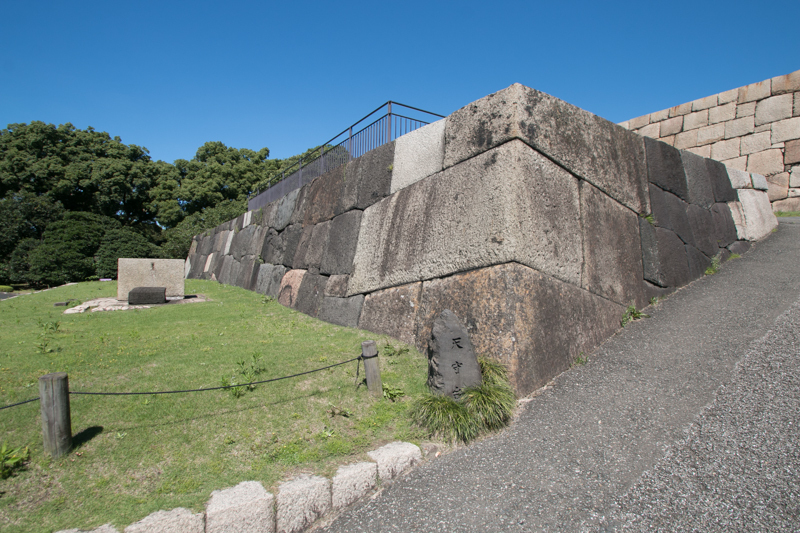 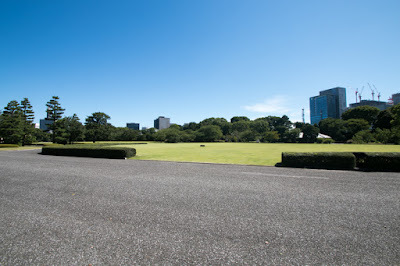 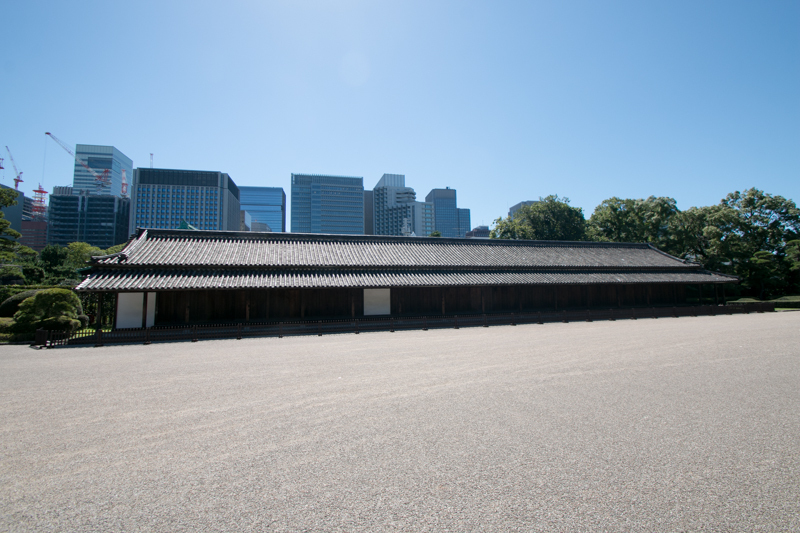 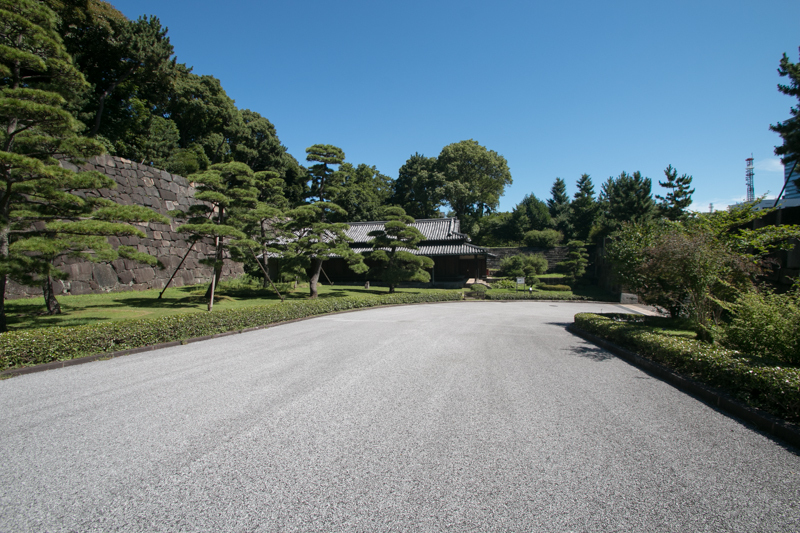 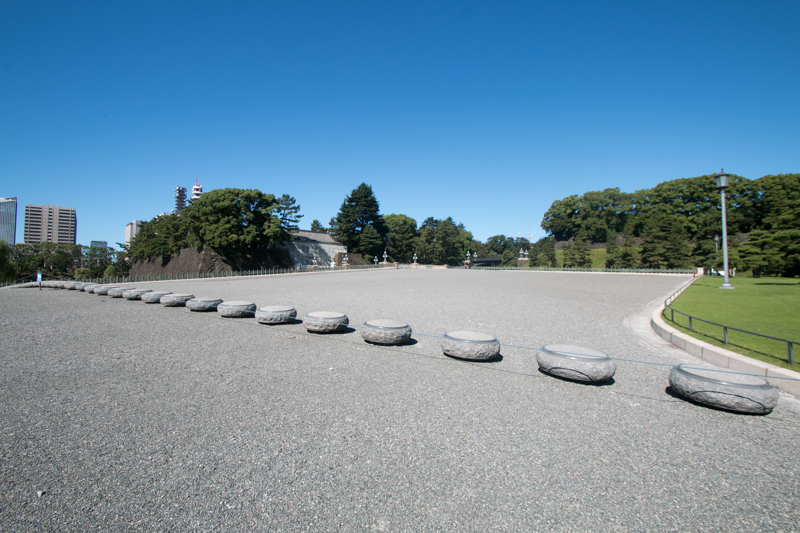 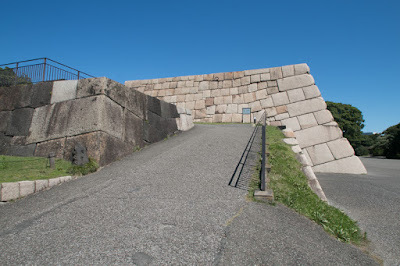 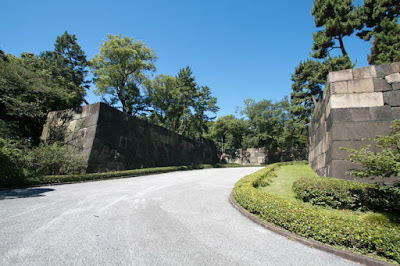 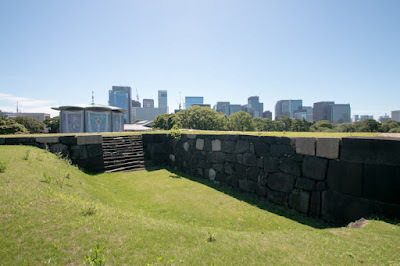 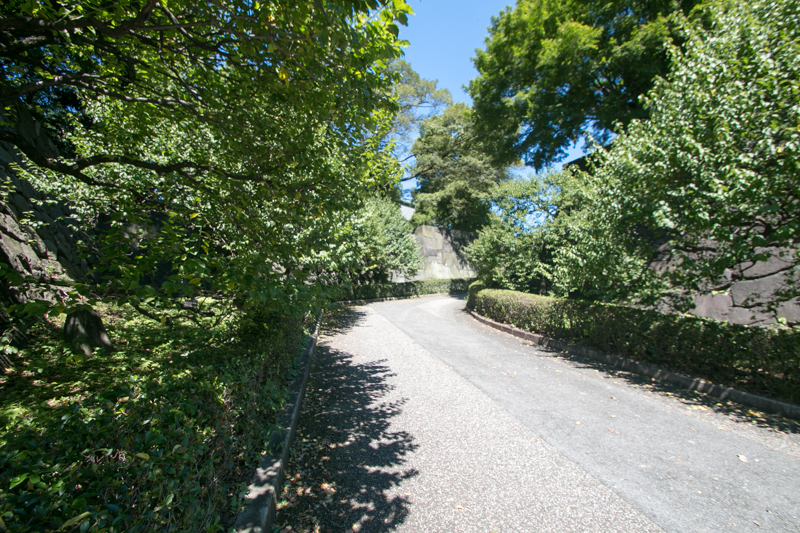 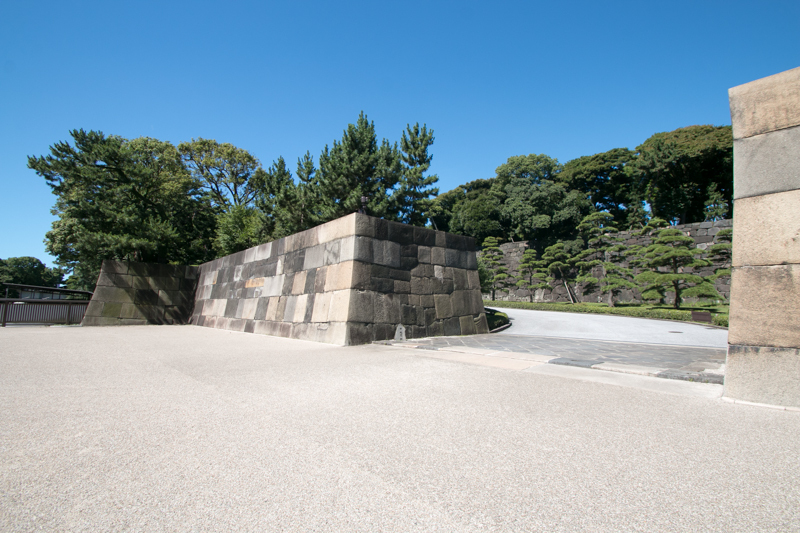 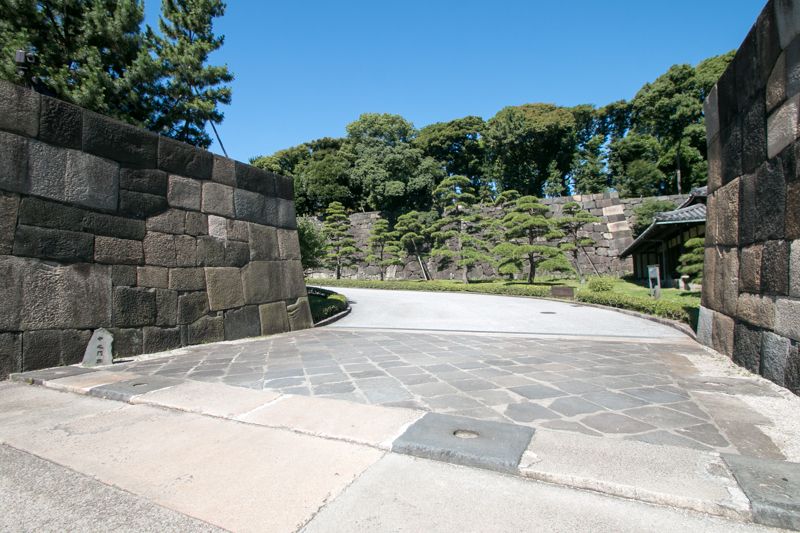 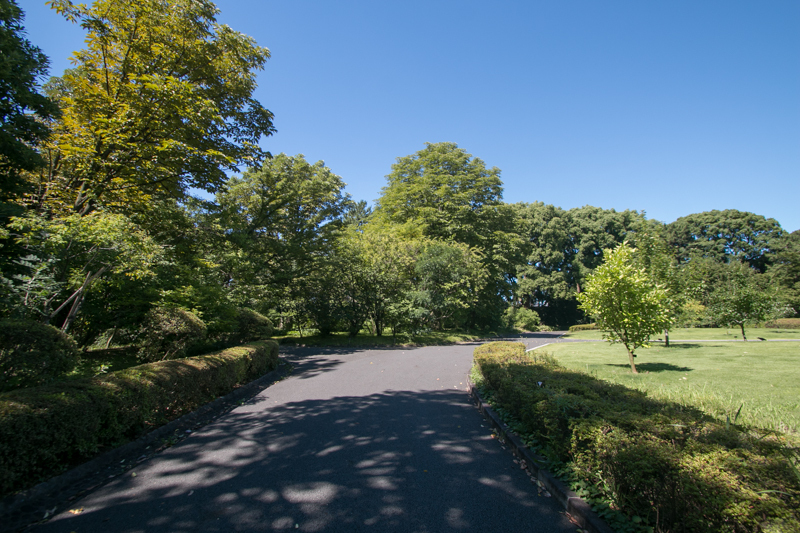 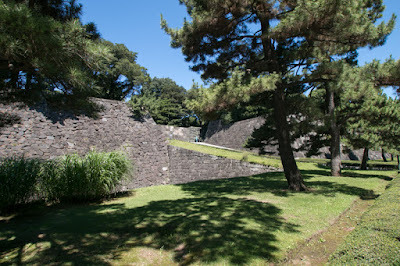 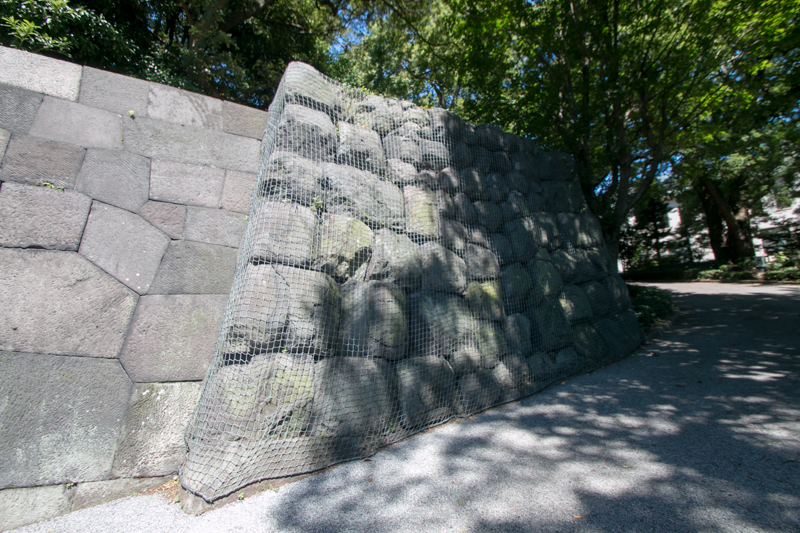 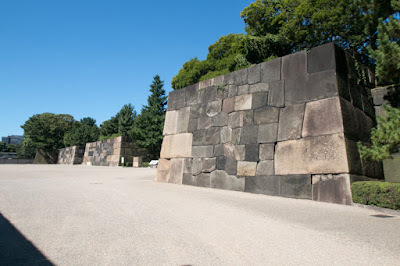 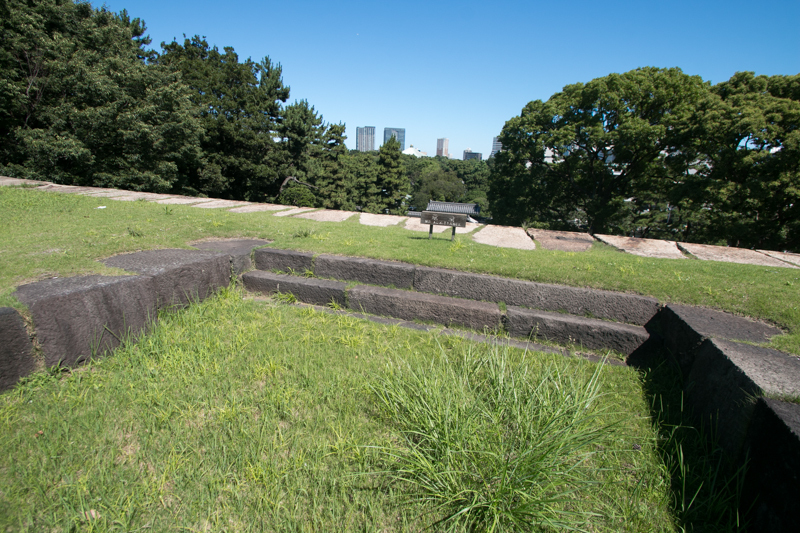 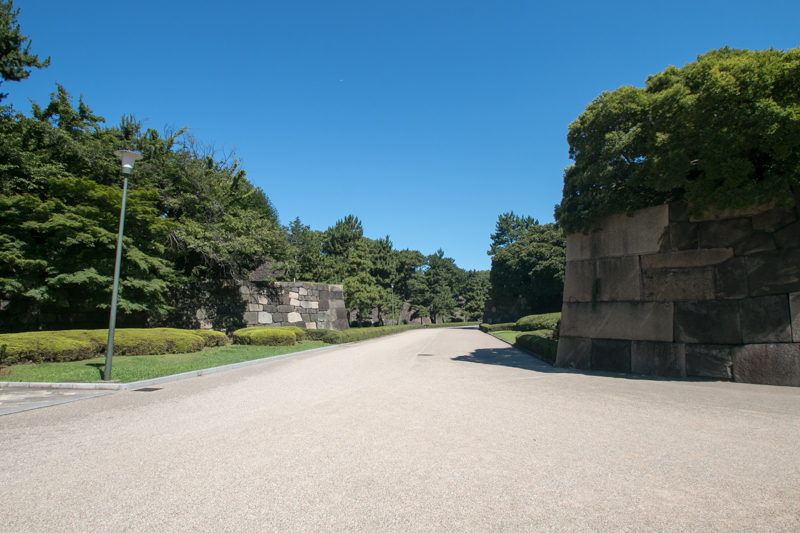 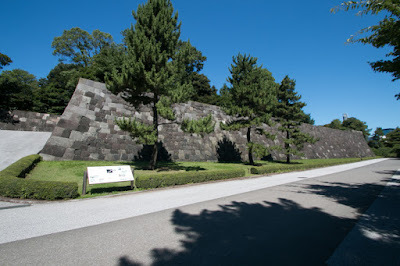 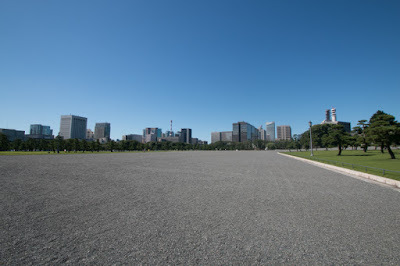 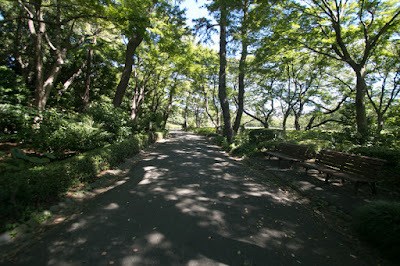 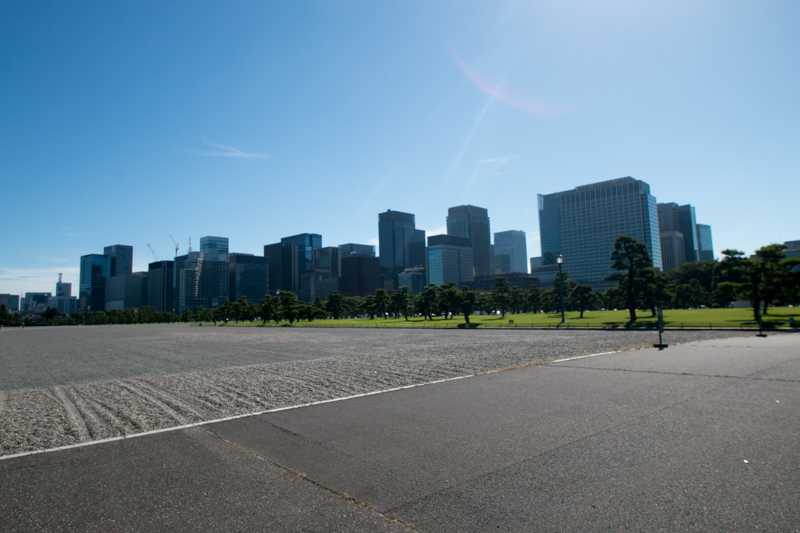 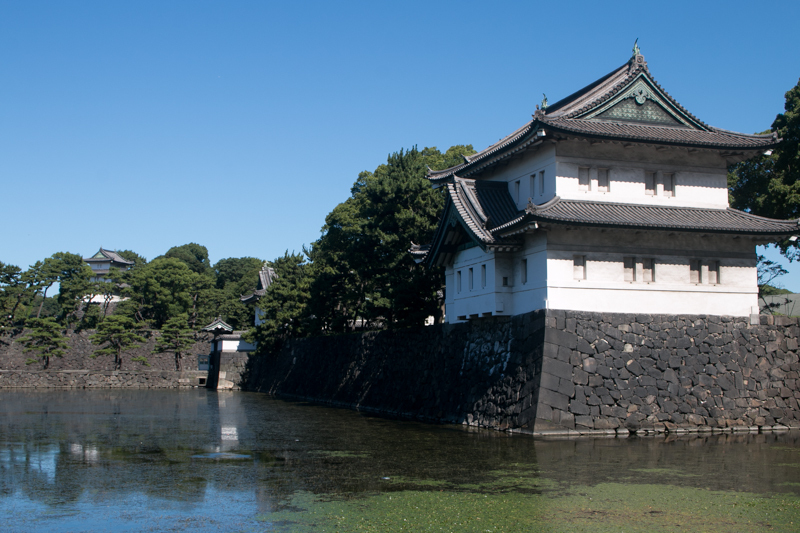 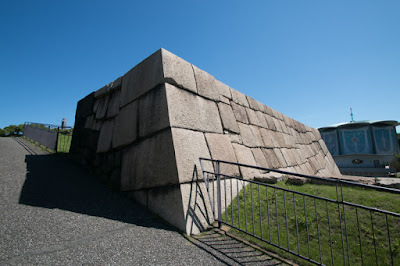 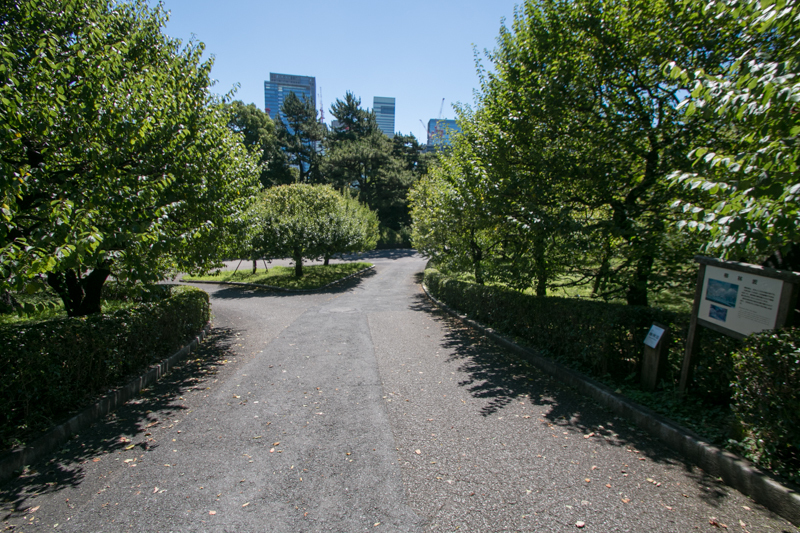 In this defense line, Edo castle was an important place to guard the south edge of front line. 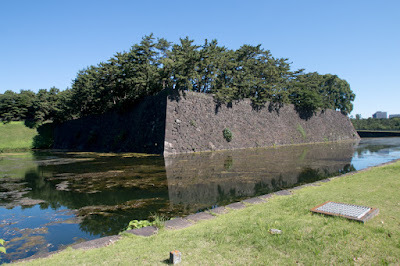 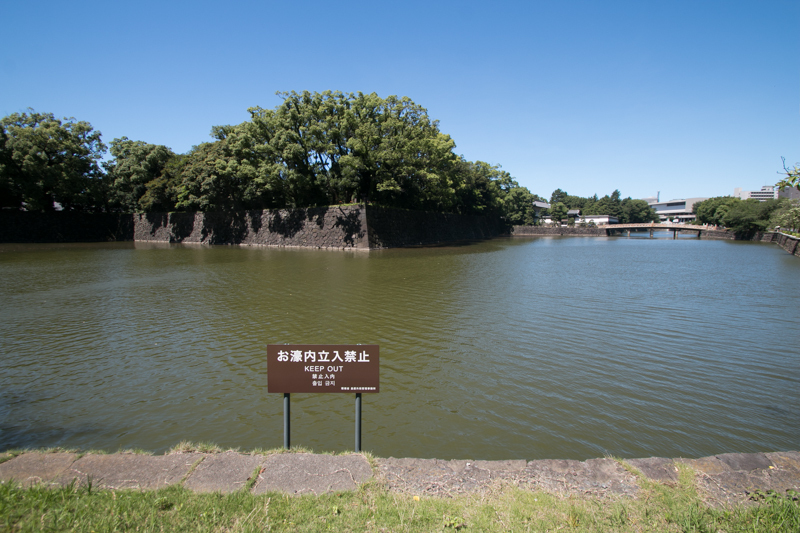 Besides, in medieval era Shinagawa area at the south of this castle was a mouth of Megurogawa river and good commercial port, thus there should be a point to guard and manage the port. 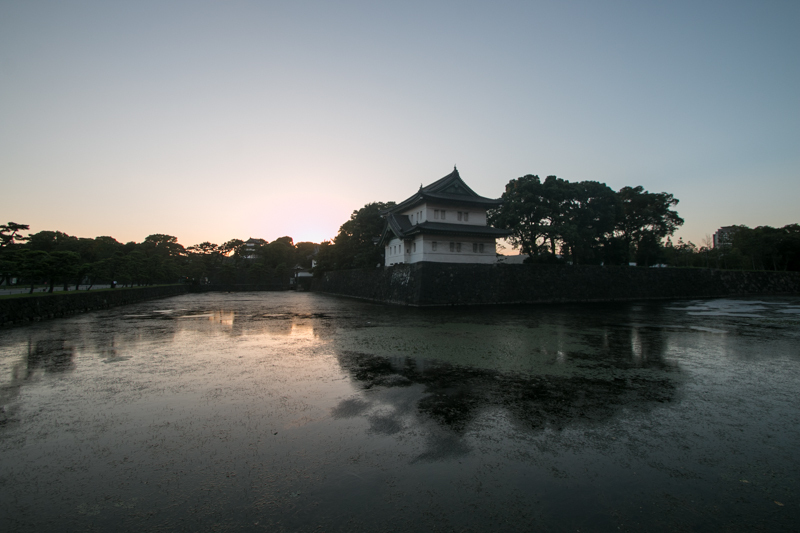 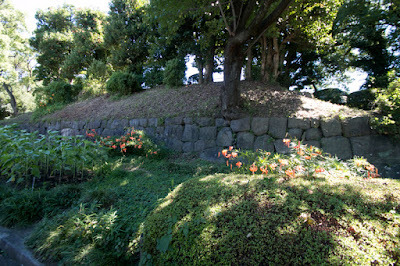 The castle was built at a cape projected from Musashino height into sea. 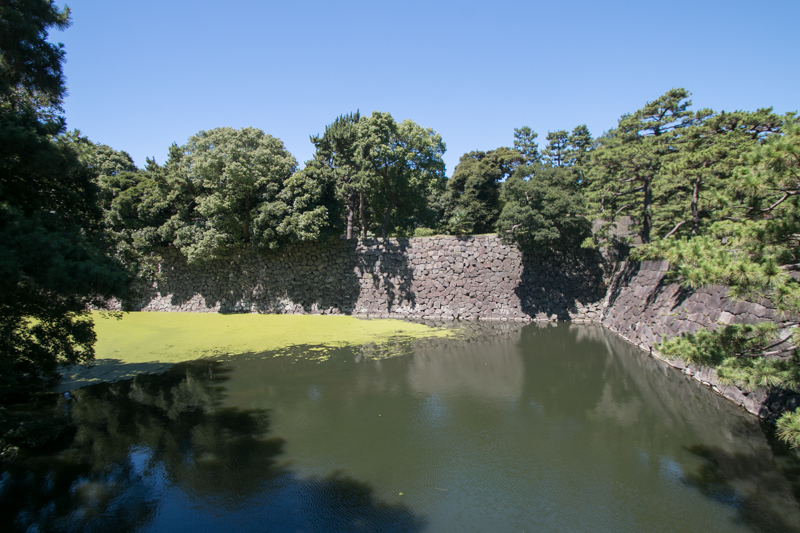 Original castle area is said to be only central area of current castle, but it exceeded 500 meter long and already a large castle in that era. 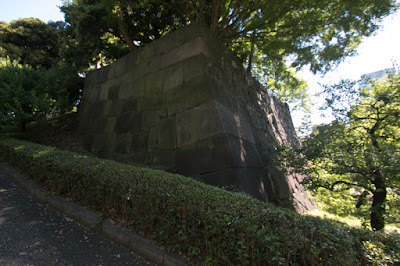 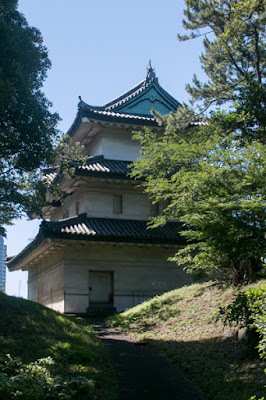 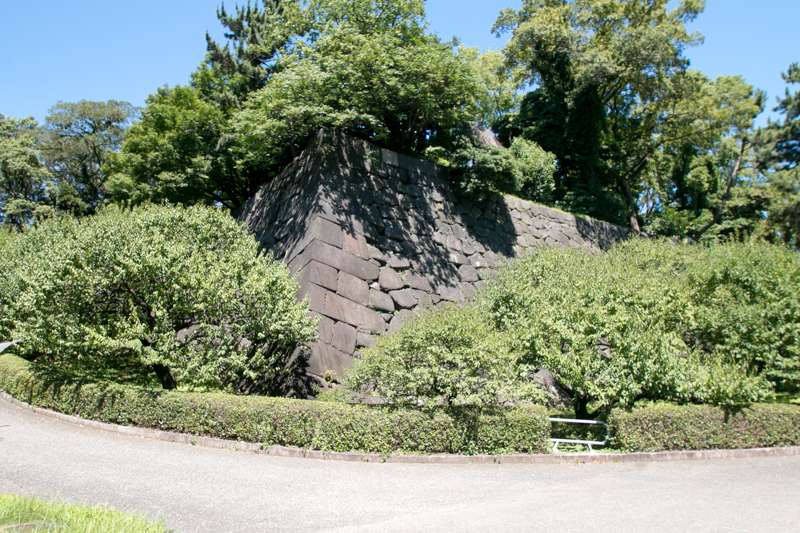 In the south edge of the castle, at the place of current Fujimi turret, there was a watchtower named Seishoken. Each area was surrounded by clay walls and connected by bridges. 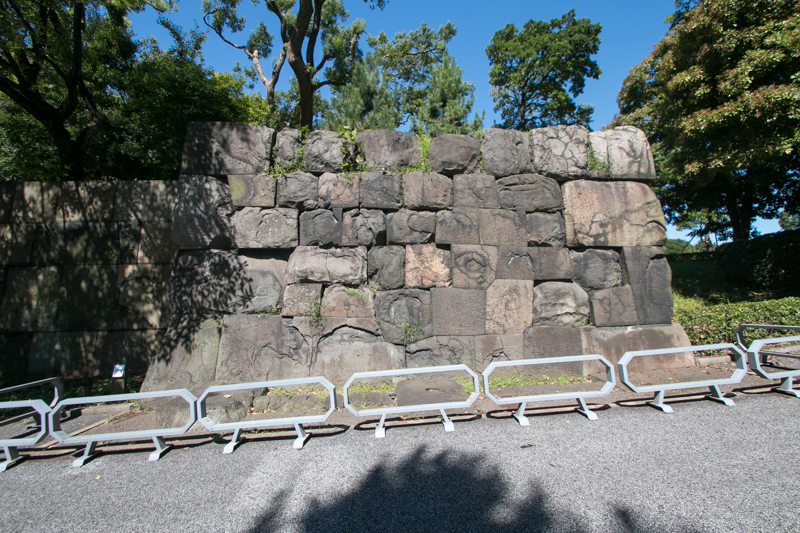 As mentioned before, Uesugi clan fought a long battle against Koga Kubo highness. 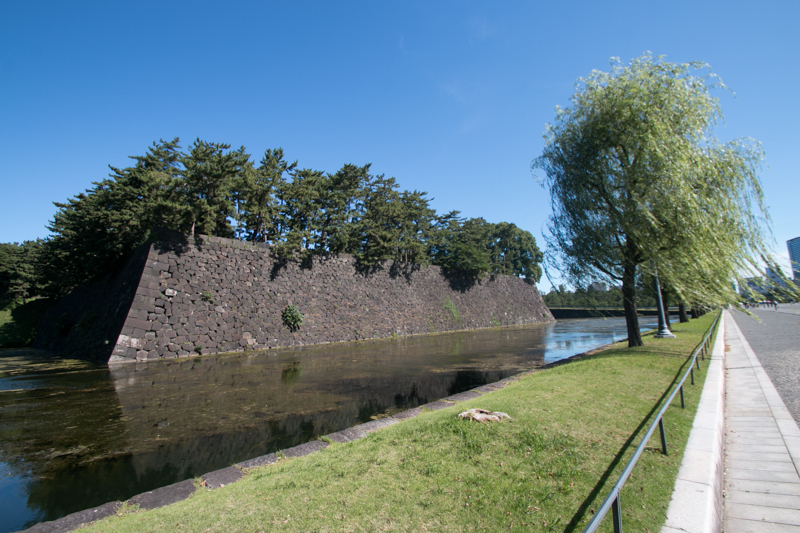 and further Kageharu Nagao (1443-1514), another vessel of Uesugi clan, revolted to Uesugi clan coordinating with Koga Kubo highness due to entanglement of succession in 1576. 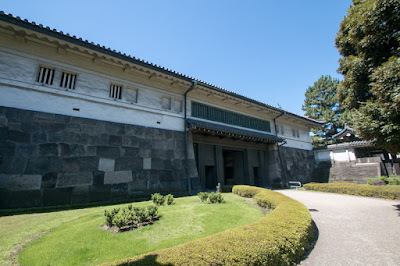 Due to a pincer attack of Kageharu from westward and Koga Kubo house from eastward, many retainers changed to Kageharu and Uesugi clan fell into crisis. Facing this situation, Dokan firmly kept Edo, Kawagoe and Iwatsuki castles as their basis, and made one by one attack to Kageharu side lords. 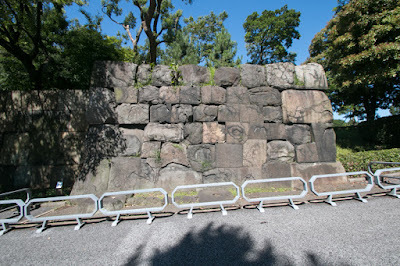 Kageharu side had larger troops but divided by Dokan's castles, they could not make organized counter attack and were defeated by Dokan one after another. 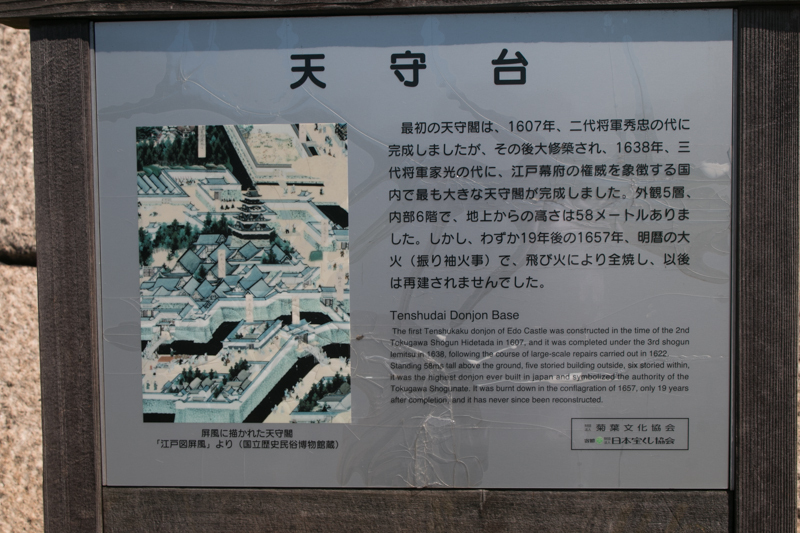 Dokan is also said that he utilized Ashigaru (fool soldiers of low class) instead of cavalry of samurais. 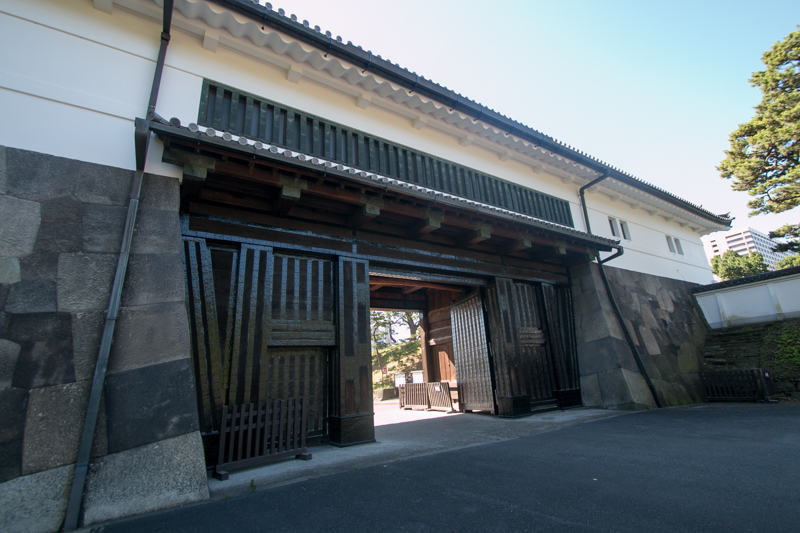 After four years campaign Dokan finally captured Hino caslte (Saitama prefecture), residence of Kageharu, and ended the revolt. 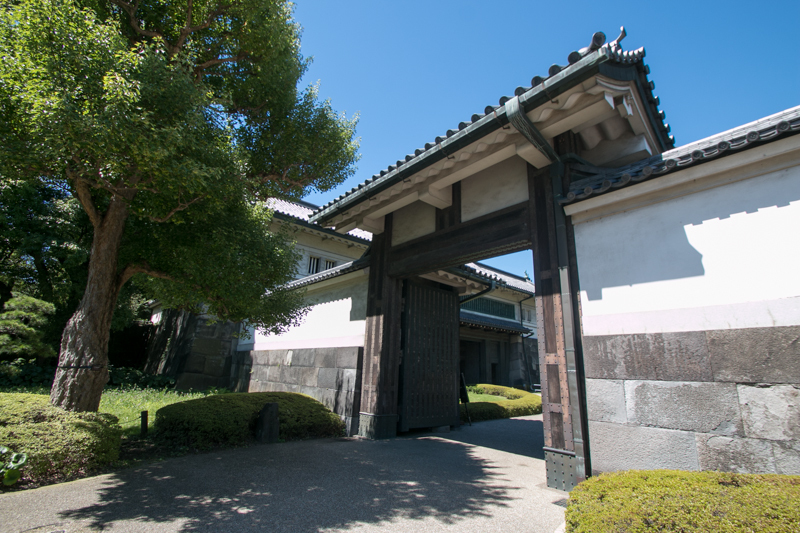 Three years after, an agreement was established between Uesugi clan and Koga Kubo house, and a peace come to Kanto region after 30 years war. Among this battle, Ogigayatsu Uesugi clan seized most part of Sagami country (Saitama prefecture) and Musashi country (Tokyo metropolis and Saitama prefecture), and became equivalent to Yamanouchi Uesugi clan, and this achievement was totally owed to Dokan's talent. 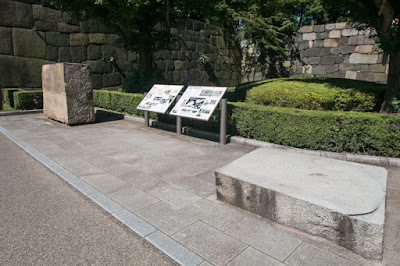 But Sadamasa Uesugi (1446-1494), leader of Ogigayatsu Uesugi clan, became cautious for Dokan's Talent. Besides, Yamanouchi Uesugi clan felt crisis for expansion of Ogigayatsu Uesugi clan, and made a trick to let Dokan and Sadamasa discord. 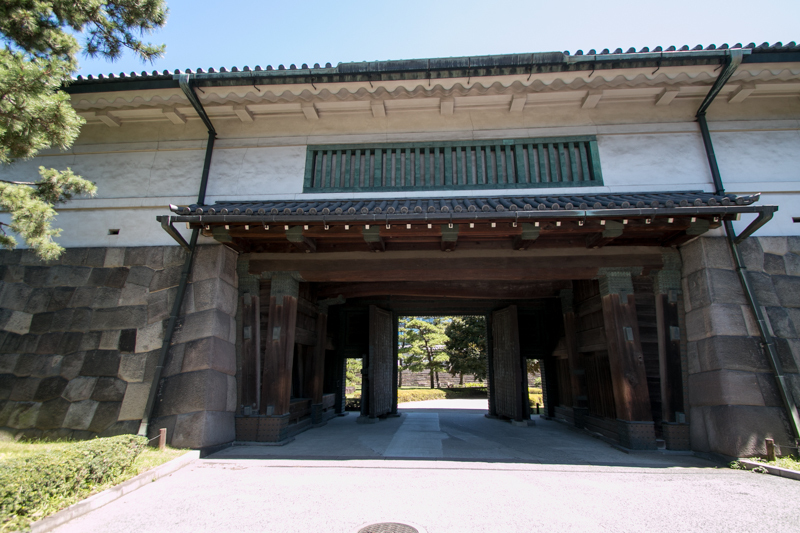 As a result, in 1486, Dokan was invited to the residence of Sadamasa and assassinated there. 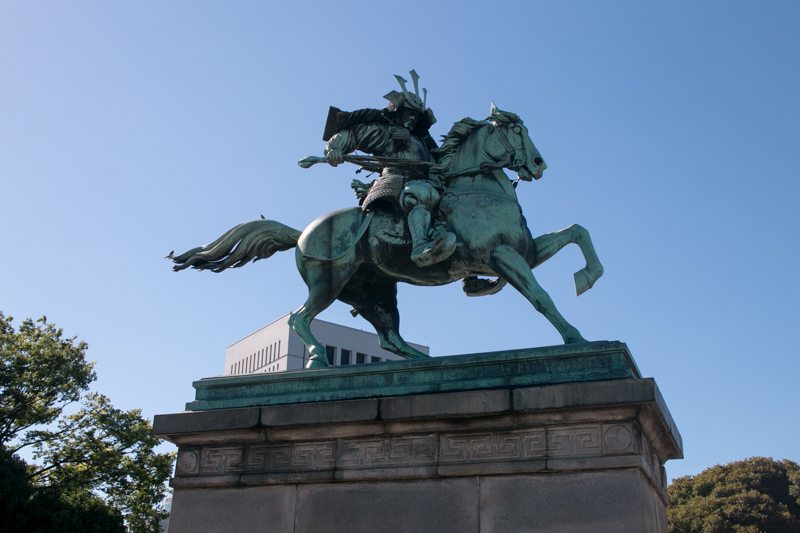 Facing his death, it is said that Dokan said "Our side will extinct in the future". After the assassination of Dokan, many lords of Ogigayatsu Uesugi clan changed to Yamamouchi Uesugi clan, and utilizing this chance Yamanouchi Uesugi clan attacked Ogigayatsu Uesugi clan in 1487. 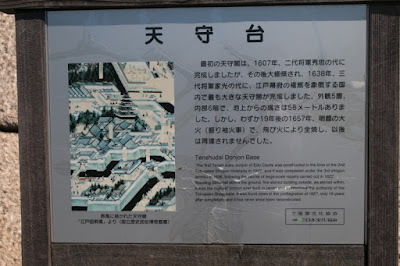 Conflict of both parties continued over 15 years and ceased in 1504 under the superiority of Yamanouchi Uesugi clan. 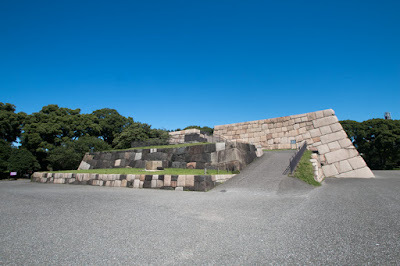 But during this internal conflict both parties exhausted their power, and as a result they could not stop the invasion of Soun Hojyo (1432-1519), who at first supported Ogigayatsu Uesugi clan and got Odawara castle (Kanagawa prefecture). 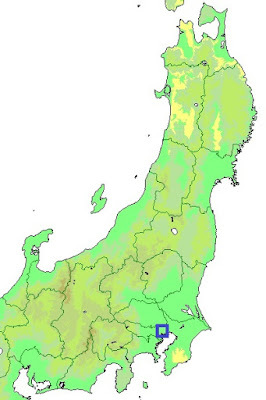 By 1520 Hojyo clan captured whole Sagami country (Kanagawa prefecture) and next aimed at Musashi country (Tokyo metropolis and Saitama prefecture). 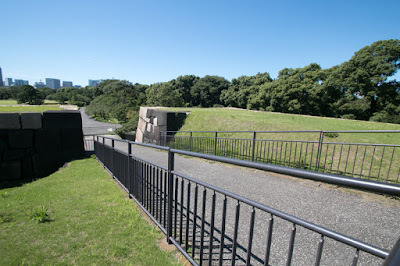 Commander of Edo castle at that time was Yasutaka Ota (1498-1547), a grand son of Dokan, but remembering Dokan's assassination, Yasutaka opened Edo castle to Hojyo clan in 1524. 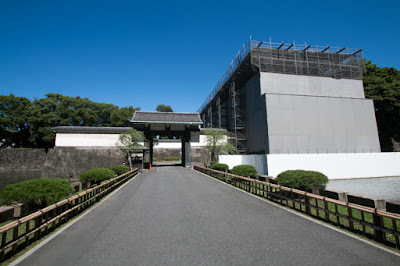 Later Ogigayatsu Uesugi clan lost Kawagoe castle, their residence, in 1537, and final leader died at the battle of Kawagoe castle in 1546 and extinguished then. 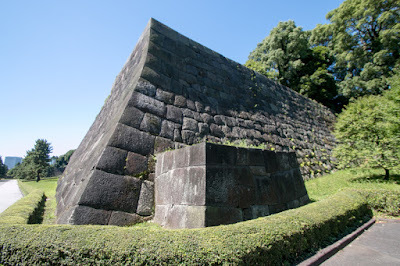 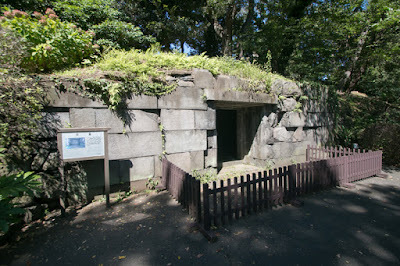 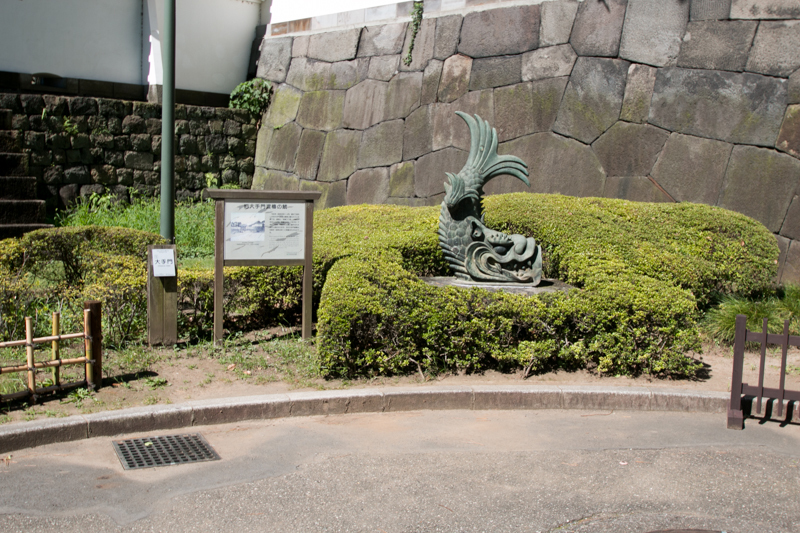 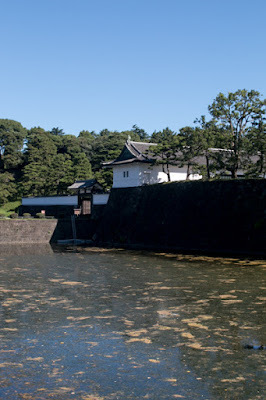 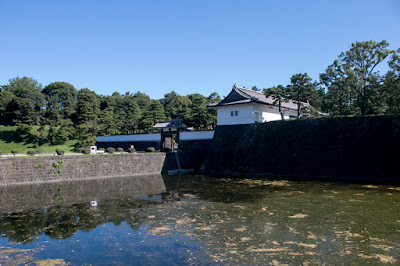 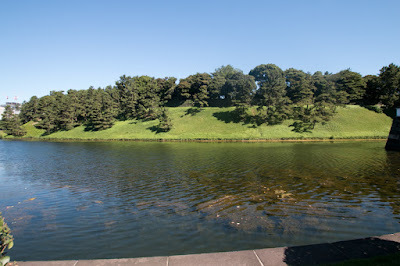 Under Hojyo clan, Edo castle was also thought important castle for their clan. 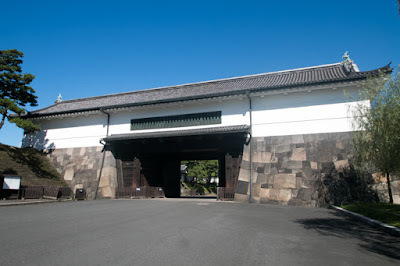 As their territory expanded into Kanto region and the front became distant from their residence Odawara castle (Kanagawa prefecture), Ujimasa Hojyo (1538-1590), the fourth leader of Hojyo clan, directly governed Edo castle after left leader position to his son Ujinao Hojyo (1562-1591). It is said that Ujimasa planned to move his place to Edo castle, but anyway compared with major castles such as Odawara castle or Kawagoe castle, Edo castle was still and rural castle.